A couple of weeks ago, I received my Degustabox for February. Since my two daughters got married, there's nobody in my house to help me unbox it! Well, unless you count my son, Braxton, but he is never enthusiastic like my daughters were about the Degustabox and it's contents. That's okay, though. That means I get to claim all of the goodies. I love spicy ketchup! I love ketchup on scrambled eggs, fries and especially on home-grilled hamburgers. 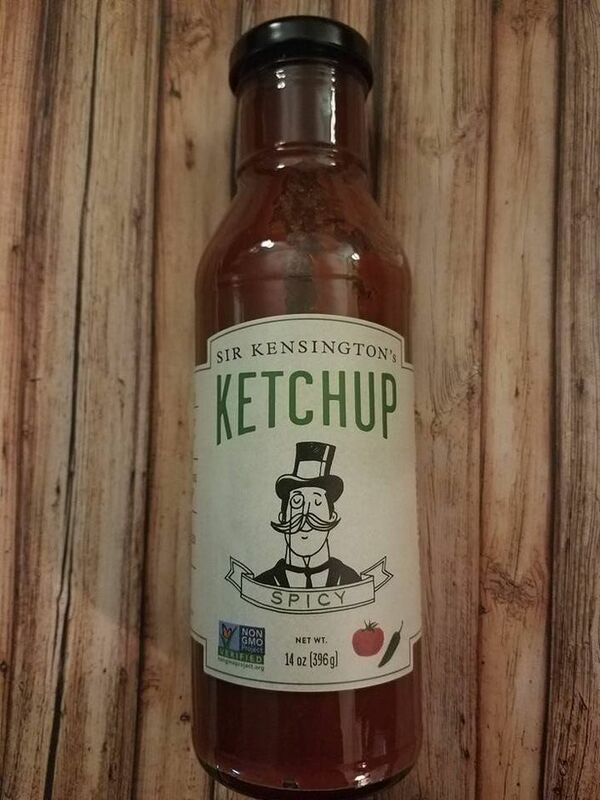 I can bet that this bottle of Sir Kensington’s Spicy Ketchup will be very much enjoyed in my home. Only by me, I might add, since I am the only one who enjoys spicy ketchup. That's okay, though. More for me! 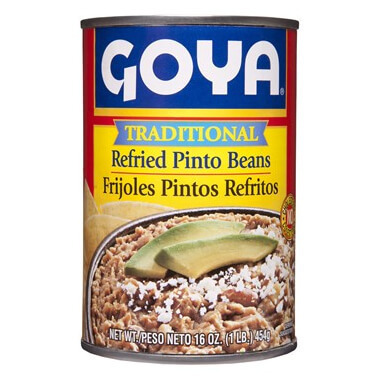 I had never tried the Goya brand before. On the day I received this month's Degustabox, I was making homemade burritos. I opened these refried beans, and was very impressed with how delicious and creamy they are. They taste amazing! This delicious salsa is perfect for enjoying with chips, and eating with burritos. It has a great flavor, and my whole family enjoyed it. 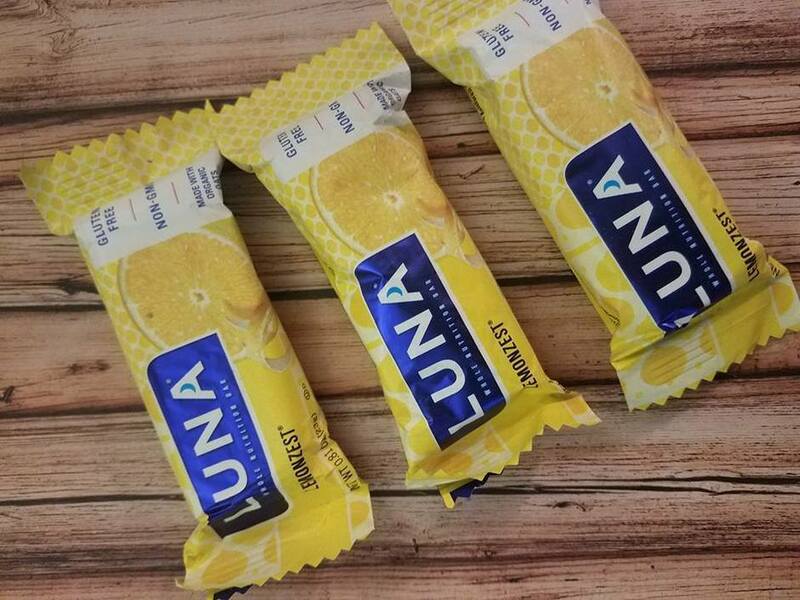 I love all things lemon, and so I was excited to try out LemonZest bars! They are the perfect on-the-go snack for a quick energy boost. Since they are full of nutrition, you don't need to feel guilty! I am into eating healthier, and so I will be stocking up on these. Made with a Red Rice, Quinoa, a hint of garlic, and aged white cheddar, these chips are packed with flavor and nutrition. They are crunchy and are delicious with hummus. 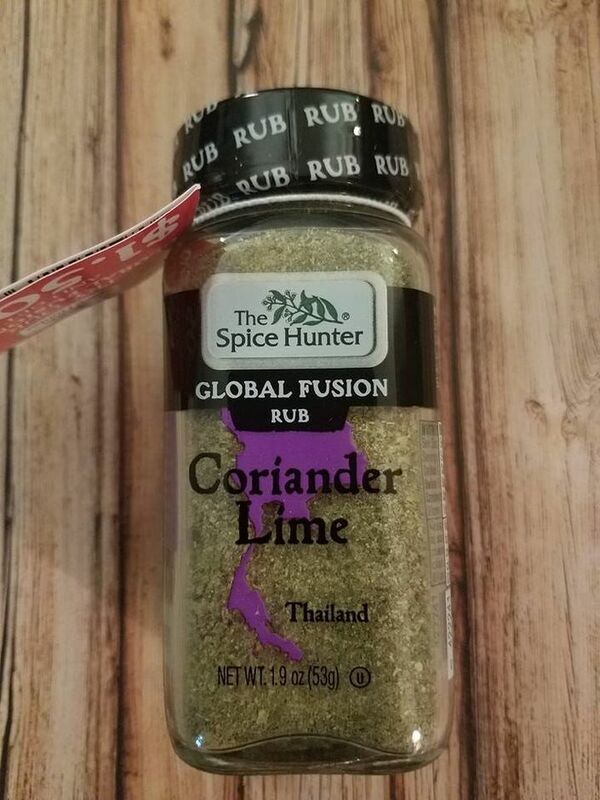 I haven't tried this spice yet, but I will add it to my collection of spices I want to try out. I think I will look up a recipe that I can use, and hopefully my family will enjoy it, too! 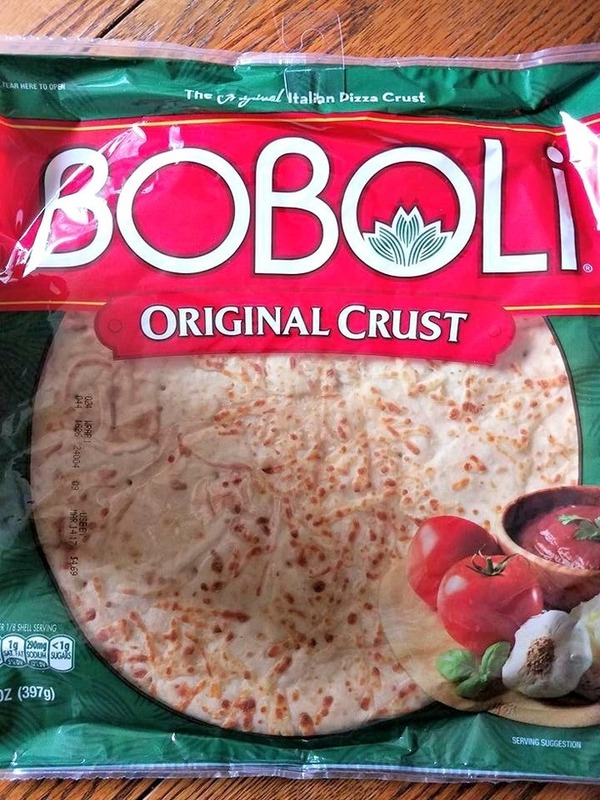 I love Boboli pizza crusts! My son, Braxton and I made a cheese pizza together. He spread on the sauce and added the cheese. It was very easy to make, and a fun bonding activity for me and Braxton. 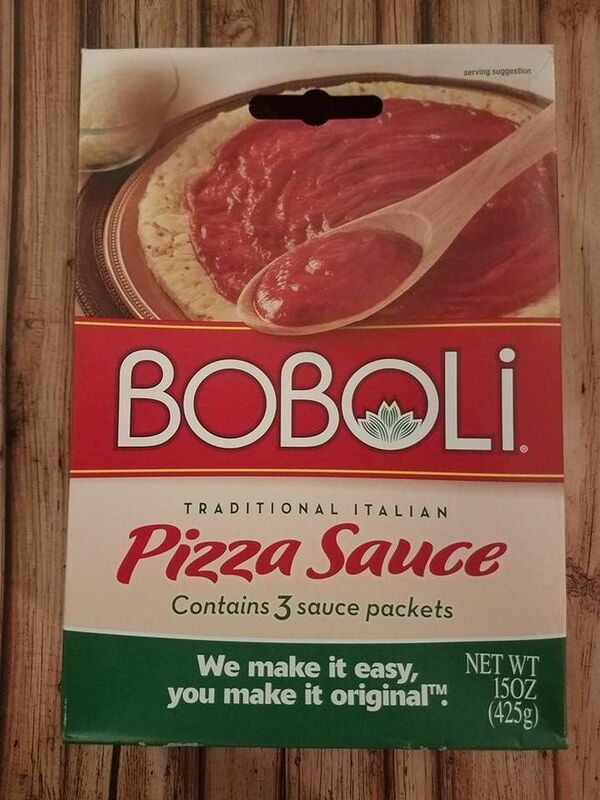 Boboli pizza sauce is delicious! It was fun to make pizza with my son. He enjoyed spreading the sauce onto the crust and did a really good job! This mustard is perfect! I always get worried when I see a bottle of mustard that doesn't resemble my store bought brand, because I despise hot mustard! I can eat anything else that is spicy, but not mustard! 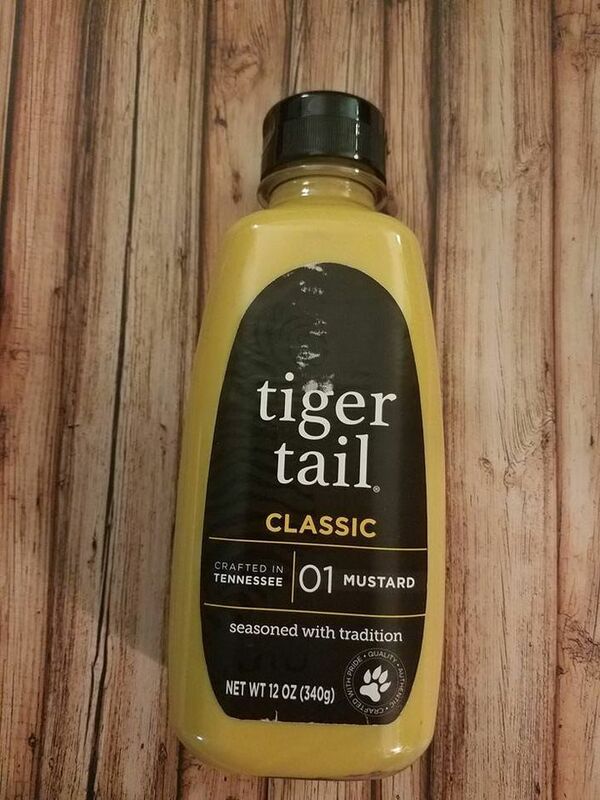 On the day this Tiger Tail Classic Mustard came in the mail, we were headed out camping, and one of the items on my list was mustard. I quickly opened the lid and tasted the Tiger Tail, and it was....perfect! Better than perfect, I loved it! 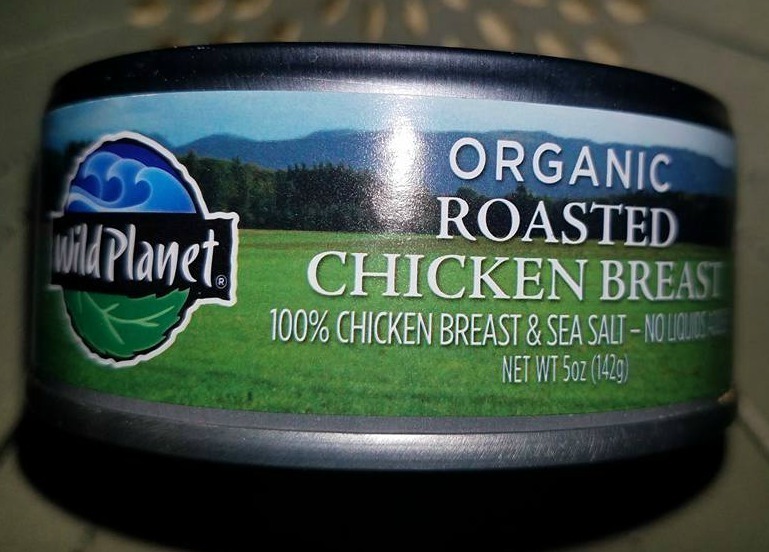 We used it on sandwiches all weekend long, and it was much tastier than my normal brand. 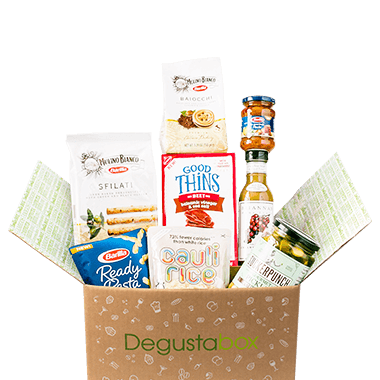 Please visit https://www.degustabox.com to get your Degustabox subscription started today! My first Degustabox for 2018 has arrived and it certainly did not disappoint! I always have so much fun unboxing it. Now that my two daughters are married and out of the house, I only have one unboxing helper, and that is my eleven year-old son, Braxton. Let's just say he doesn't enjoy it as much as my girls always did, but that's okay. More fun for me! 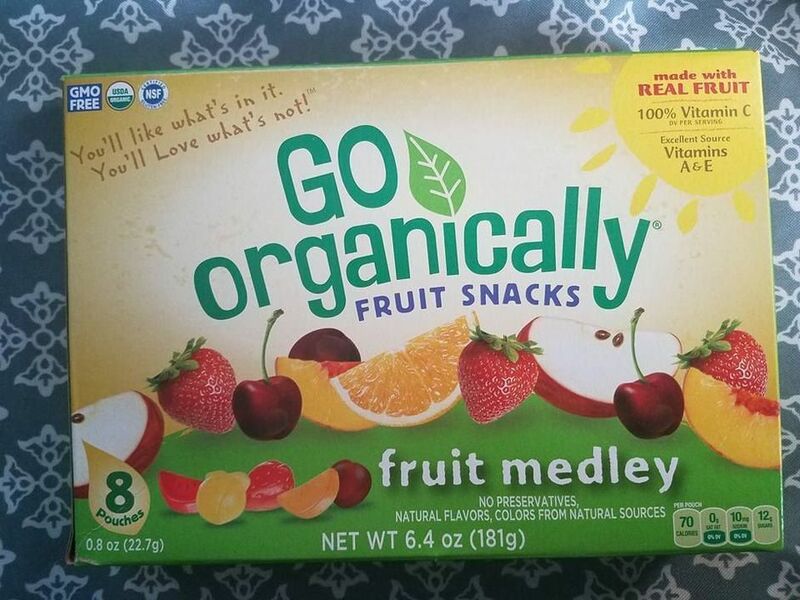 These fruit snacks are a tasty, on-the-go USDA-certified organic fruit snack made with real fruit. 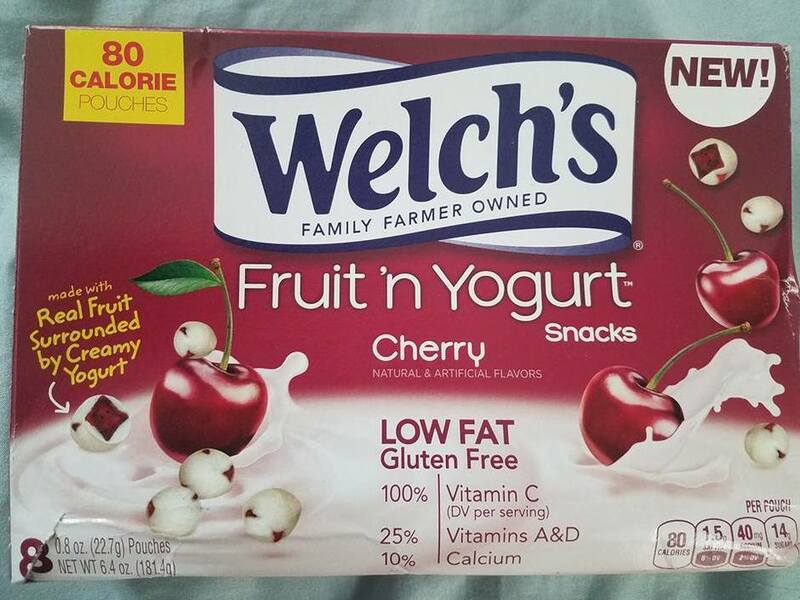 An excellent source of Vitamins A, C and E, Go Organically® Fruit Snacks are GMO free and gluten free, have natural flavors and colors from natural sources. I truly enjoy them for a satisfying healthful snack while I am blogging, or when I need a quick pick-me-up. 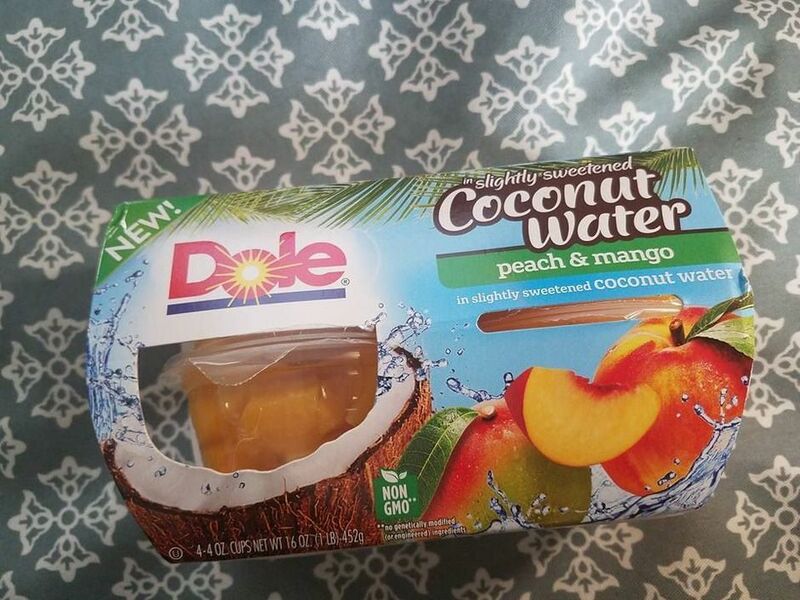 Dole Fruit Bowls® in Slightly Sweetened Coconut Water combines the Dole fruit you love with a refreshing splash of Coconut Water. Available in three varieties - Pineapple & Mandarin Orange, Peach & Mango, and Pineapple, Peach & Mango`my favorite! Deliciously spicy, tangy throughout, and juicy and tender like fall-off-the-bone ribs, Uncle Dougie's incredibly unique blend of peppers and spices turns wings into a culinary sensation! 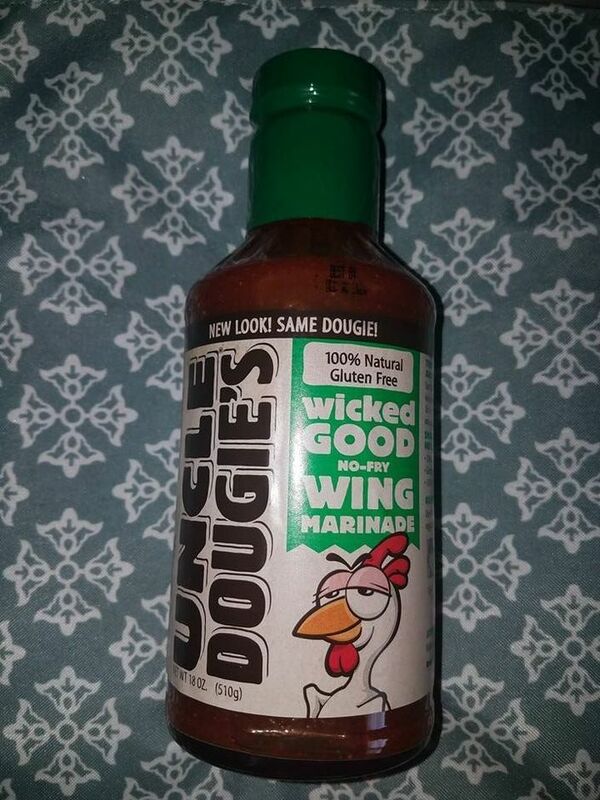 Uncle Dougie's Wicked Good Marinade let's you make awesome, spicy-as-you-want wings at home without the mess and added fat from frying. I haven't tried this sauce yet, but I need to learn how to make spicy chicken wings because Braxton loves hot wings! 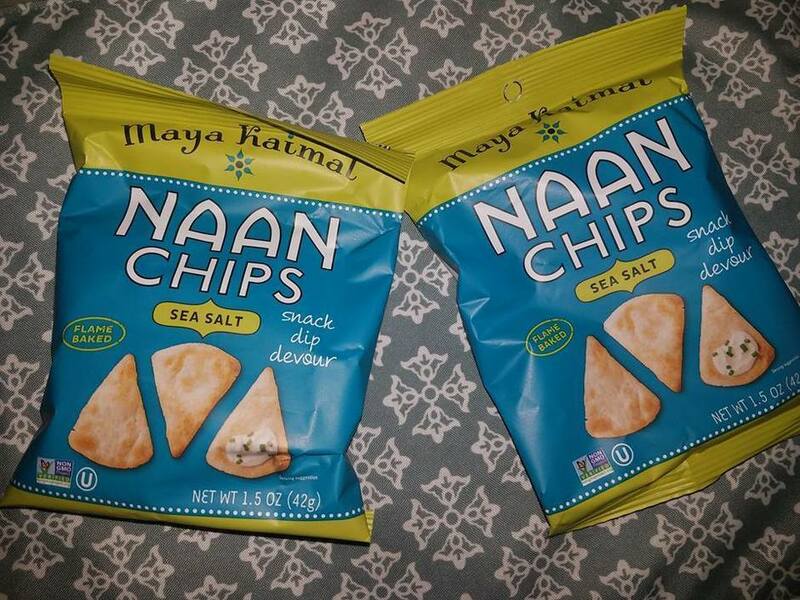 Naan chips are vegan, kosher, non-gmo and have 0 trans fats and come in three delicious flavors - Rosemary, Sea Salt and Almost Everything. I tried eating these chips plain, and so I didn't really enjoy them. I definitely need to get me some hummus. Explore Cuisine creates plant based organic ingredients of the highest quality. This selection of pasta and noodles from across the globe integrates beans, peas, lentil and rice to provide consumers with nourishing meals that are easy and quick. I have not tried this yet. I am kind of afraid to. I do know, however, that I would be the only one in my household to eat it! 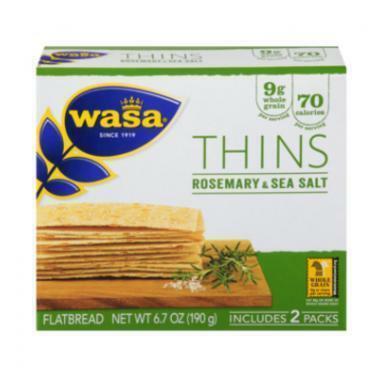 Rosemary & Sea Salt Thins packs 9 grams of whole grains in just 70 calories per serving. Again, I have not eaten these yet. I want to save them for when I have some hummus to enjoy them with. This chocolate is made of premium quality milk and the finest ingredients. Its creaminess, crispiness and delicious chocolate flavor are unequalled. 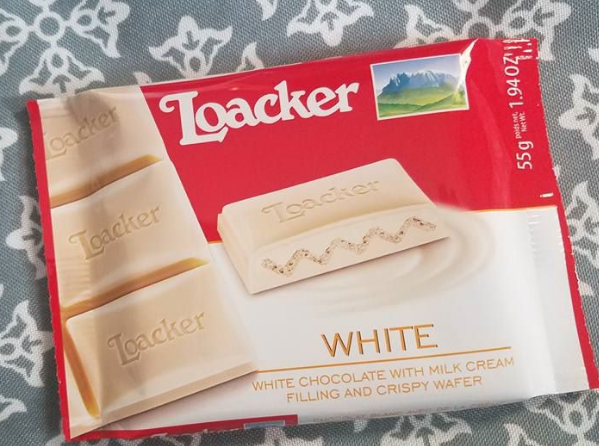 I am not a fan of white chocolate, but this chocolate bar is kind of like a caucasian Kit Kat bar! 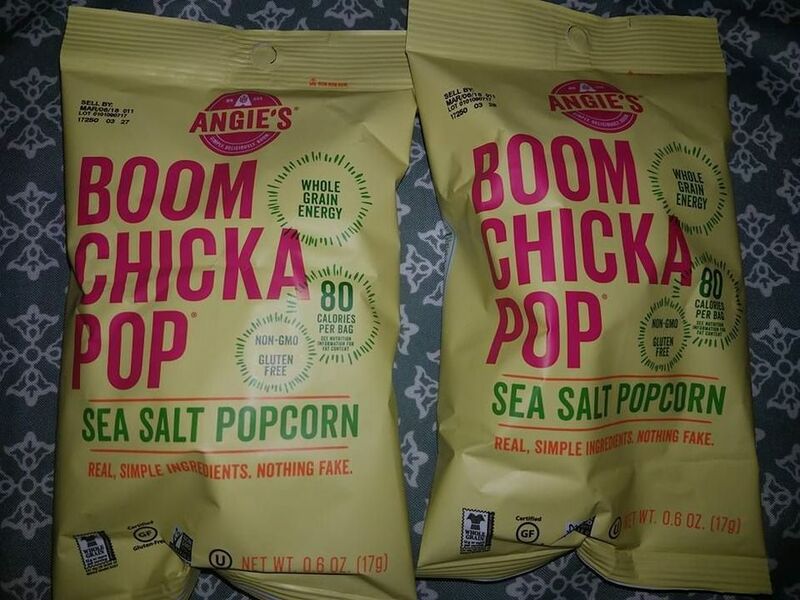 BoomChickaPop contains just popcorn, sea salt and a little bit of sunflower oil. 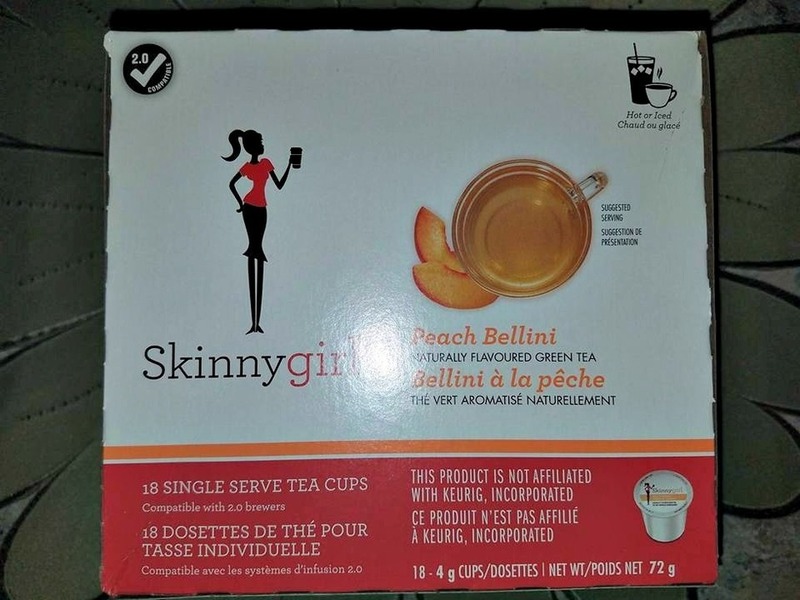 And at 35 calories a cup, it also contains a lot of guilt-free goodness. Perfect for my New Year's resolution of losing a few pounds! An airy, crispy, crunchy, and tasty snack made solely from one ingredient: 100% true cheese! 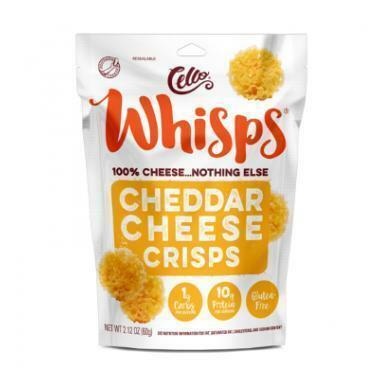 Made from Cello's deliciously sharp baked Cheddar cheese, Whisps are an excellent source of calcium and protein. 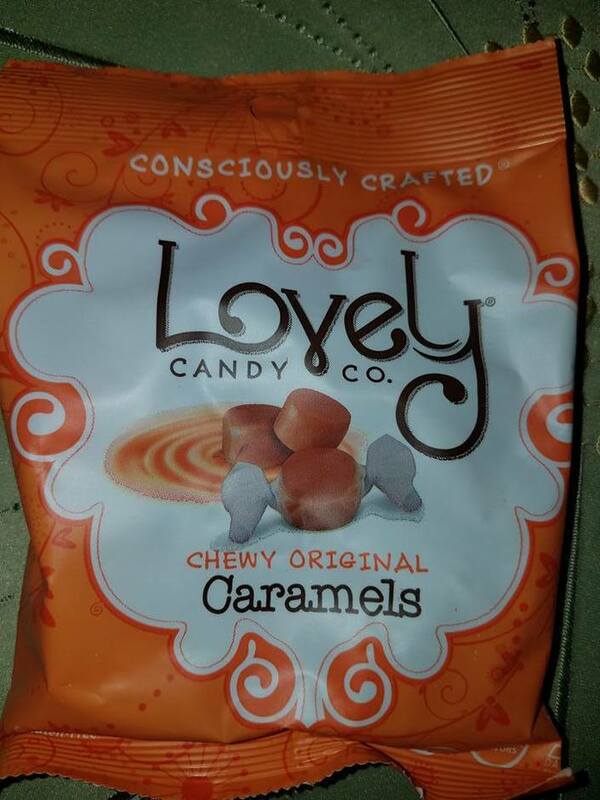 These are so addictive, and probably my favorite thing in this month's box. I could snack on them all day long! They are soooo cheesy! 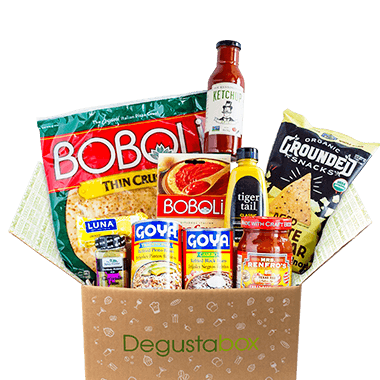 When it comes to monthly monthly subscription food boxes, my very favorite is Degustabox! 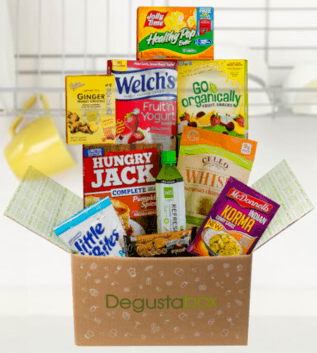 Each month I receive a large box filled with full-sized goodies from Degustabox. There's always something sweet, something salty, something healthful and something to use in a recipe....plus more! More often than not, I am introduced to foods that I would have not otherwise have tried. I have discovered many new delicious treats that I had never heard of. 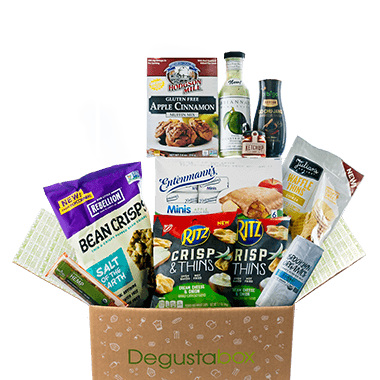 Degustabox is so much fun. I look forward to it every month! Here is my last Degustabox delivery of 2017. It was a fun and festive treat-filled delight! 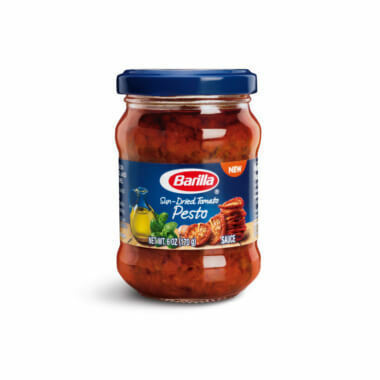 Made in Italy, Barilla® Sun-dried Tomato Pesto delivers the vibrant flavors of the Mediterranean with finely diced sun-dried tomatoes, capers, and oregano. Enjoy this flavorful pesto on pastas, sandwiches, pizzas, and more. I added it to my spaghetti sauce last week, and it was superb! Make Perfect pasta in 60 seconds! 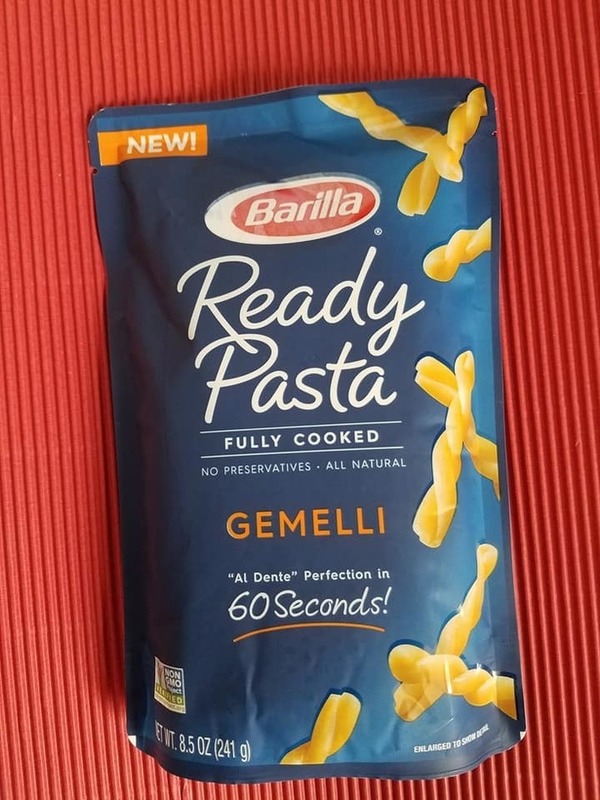 Barilla Ready Pasta is a delicious, fully cooked pasta that is ready in just 60 seconds. Simply heat the pouch in the microwave then top with your favorite ingredients for a delicious dish in minutes. Barilla Ready Pasta makes my life a whole lot easier when all I have to do is just heat it up and add a sauce to it. Yum! 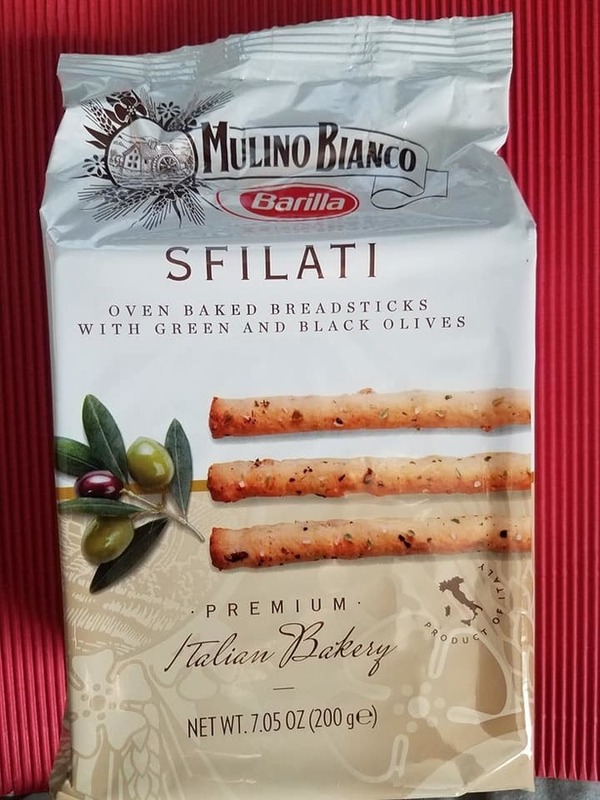 Mulino Bianco's Sfilati with Green and Black Olives are delicious! These oven-baked breadsticks are inspired by the traditional long and thin Italian "sfilatino" bread, similar to a baguette. I could just snack on them all day long. They are very flavorful and satisfying. 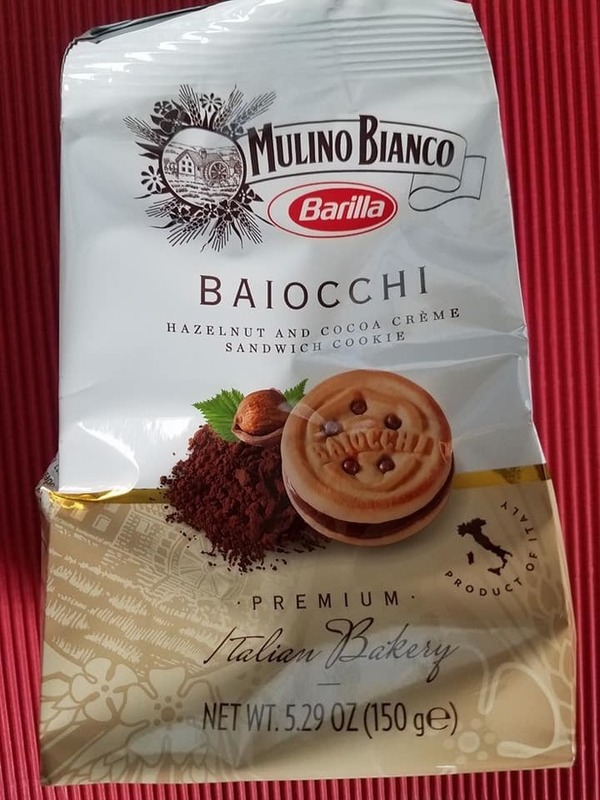 Mulino Bianco Baiocchi are delicious sandwich cookies filled with sweet hazelnut and chocolate cream between two rich biscuits. In Italy, Baiocchi was once the name of an ancient Italian coin, which is where the unique shape and design come from today. 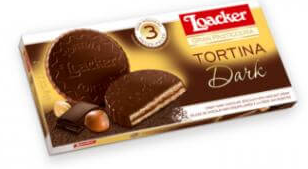 As for me, I love these delicious cookies. They remind me of Nutella cookies! 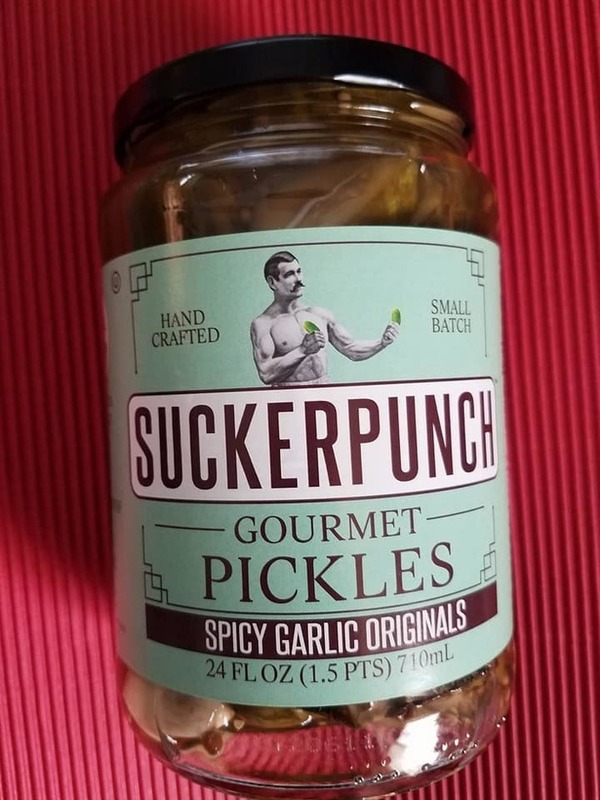 SuckerPunch Gourmet was founded in 2011 by stay-at-home dad, part-time artist, and champion of flavor, David van Alphen. David set out to create a better pickle. Tired of all those pansy cucumbers in brine, he began experimenting with spice combinations galore. After months of trial and error, he created what we believe is the "perfect" pickle. At first the 15 spices give you a slight taste of dill, followed by a bit of sweetness and then POW, you get sucker punched with a bold rush of flavors and a little bit of heat. These pickles were probably my favorite treat in December's Degustabox. I am a pickle lover, and no one else in my family really understands that, nor do they understand a good pickle. That means there are more for me, and that is fine. 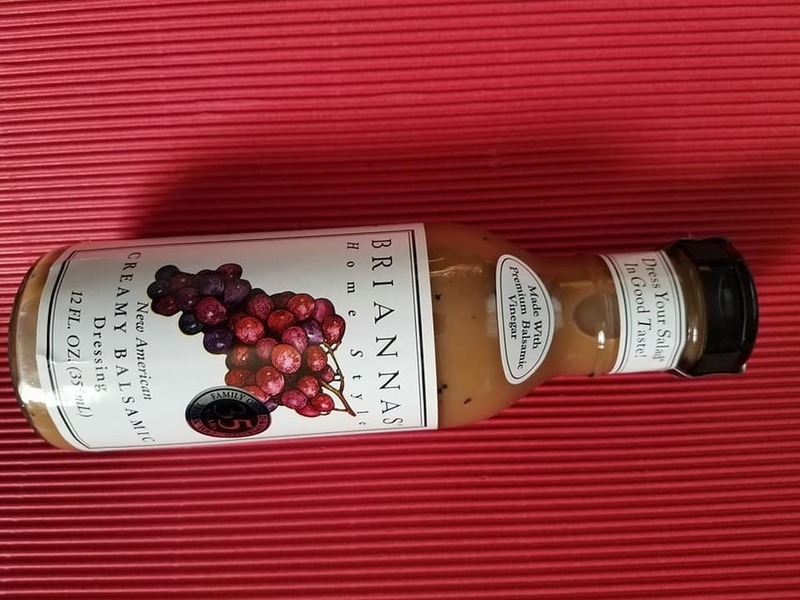 A creamy balsamic vinaigrette made with a careful selection of flavorful ingredients, including honey, balsamic vinegar, garlic, grape juice and spices. Bring a unique addition to your dining menu by dressing up your salads or perfectly glazing or marinating poultry, meats and seafood. I LOVE BRIANNAS salad dressings! This line of 15 delicious gourmet dressings contain no trans-fat or high fructose corn syrup. Thirteen of the flavors are gluten free, one is fat-free, and one is sugar free. I am in absolute heaven when I grace my salads with BRIANNAS salad dressings. They are perfect! 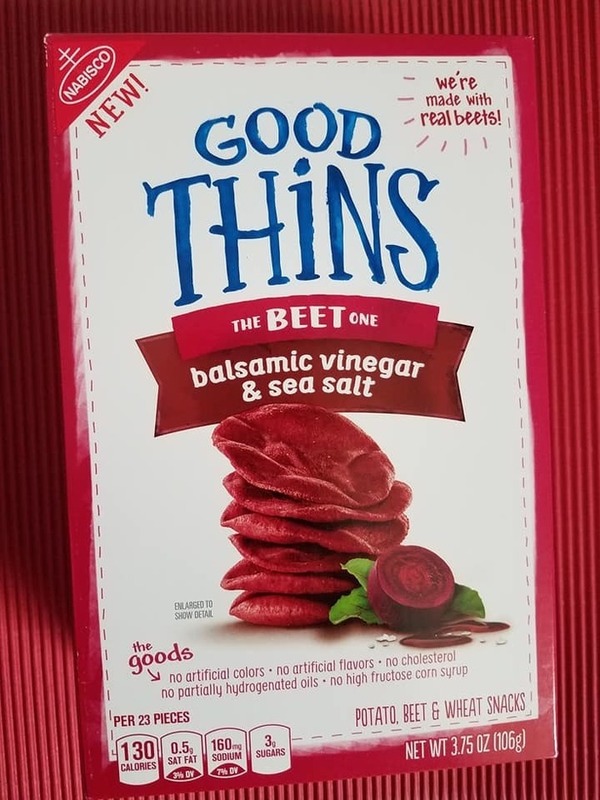 It’s made with real beets and flavored with balsamic vinegar & sea salt. A baked snack with a delicious tangy twist. Okay, I take it back that the pickles were my fave snack from December's box. THESE BEET CRACKERS are my newest obsession in life. I am so in love with them! Beets are becoming one of my favorite foods because of how healthful and delicious they are, especially with vinegar. In fact, now I want to run to the store and grab another box, even though it is freezing outside. Totally worth it. 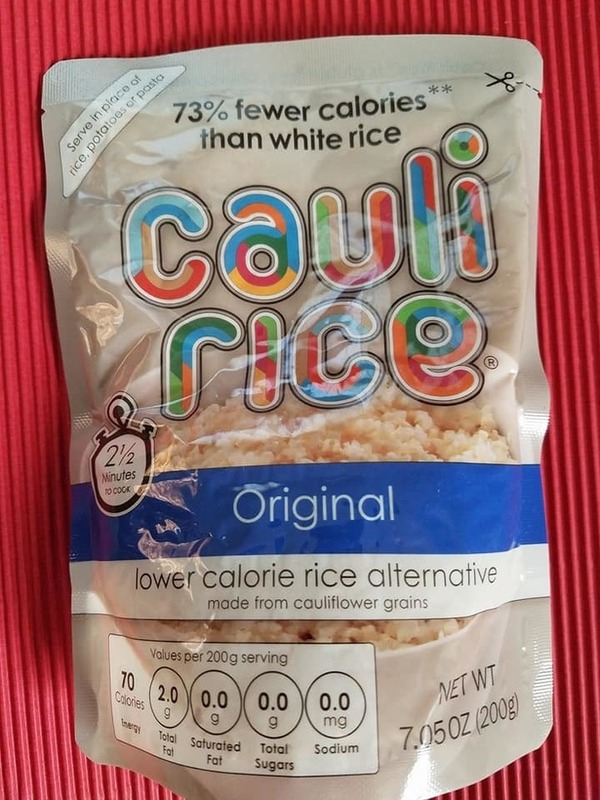 Cauli Rice has as much as 75% fewer calories than normal white rice and only 4 grams of carbs per 100g serving. It is the world's first shelf stable cauliflower rice. Preservative free & Gluten Free. 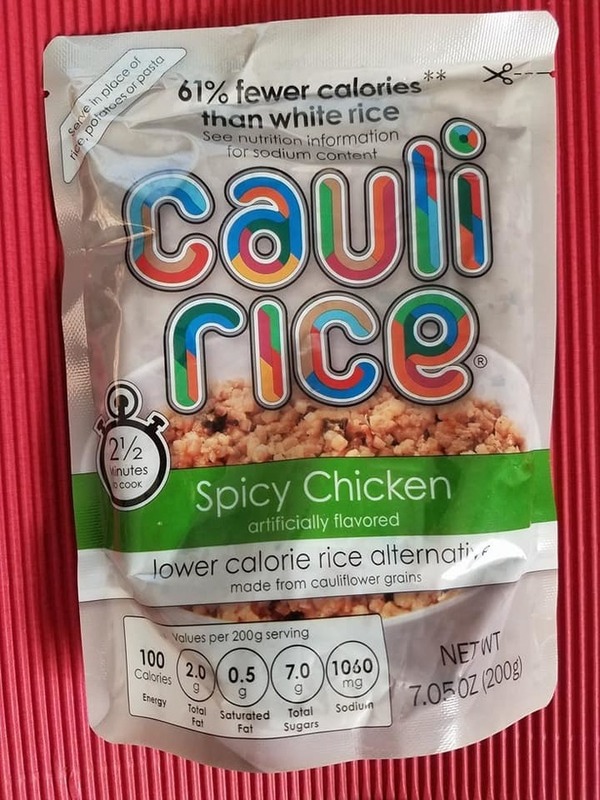 I have not tried this cauli-rice yet. Shame on me. I truly hope that when I do try it, I hope that I love it because it would make life so much easier to be eating healthfully and enjoying every bite. 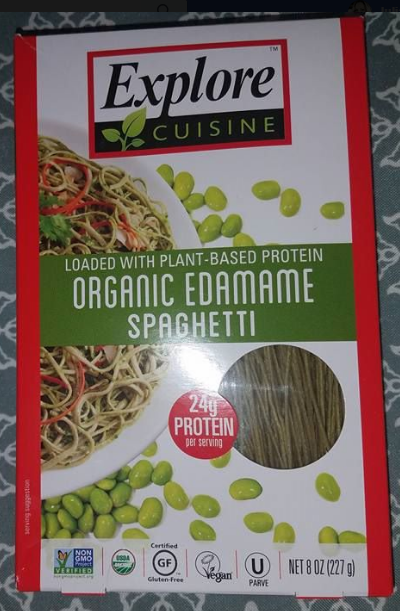 I am not picky, but I just hope I love this stuff, because if I do, I would incorporate it into many upcoming meals for myself and my family in this new year! 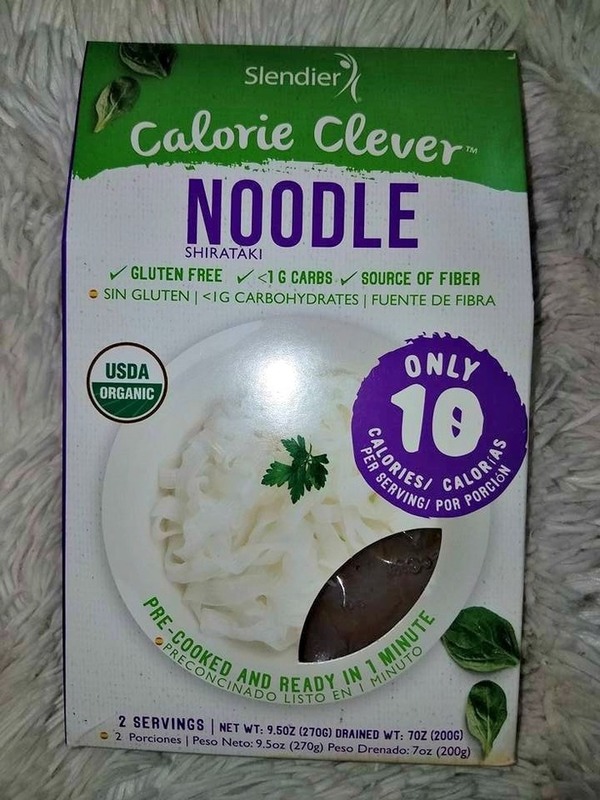 As stated above, I have not yet tried this product because I haven't had time to even think about creating any good new years healthful meals yet, but I need to get thinking about it. My New Years Resolution is to plan great meals for my family. I will be needing some creative healthful food ideas to incorporate into my meal planning. I hope that Cauli Rice can be a part of my menu very soon. Of course, even if my family doesn't like it, I can probably disguise it in a good chicken and rice dish, right? Perfect! 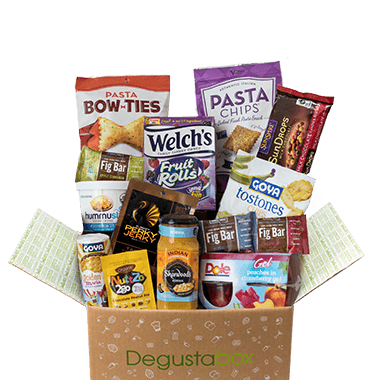 Below are some of the foods, snacks and treats that I received in my Degustabox this month. 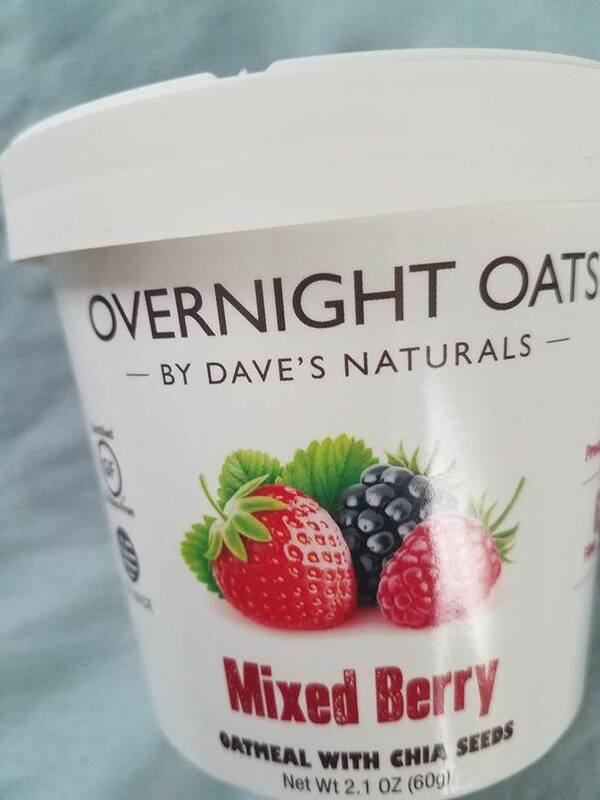 Overnight Oats are a blend of oats, chia, almond and fruit that you soak overnight in their handy carton after adding milk. In the morning, no cooking or heating is required. I love these oats! They are so yummy and convenient. 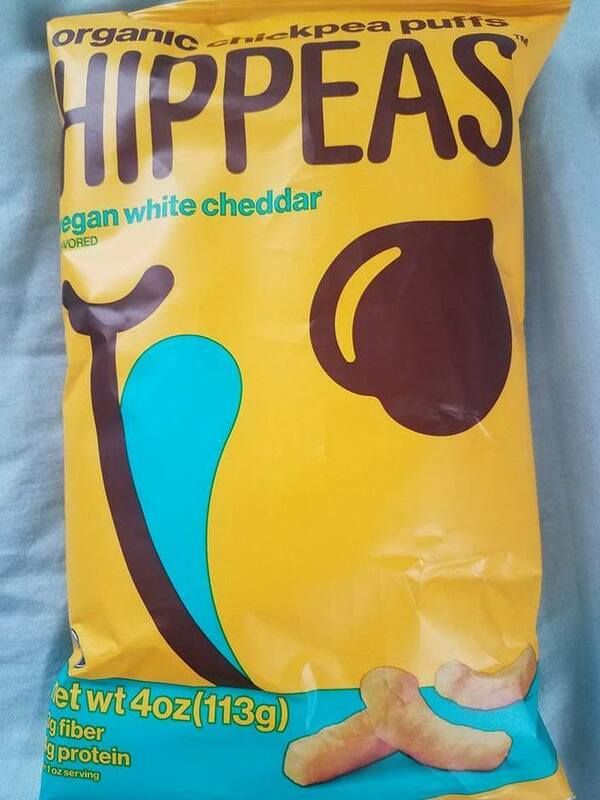 HIPPEAS are a range of Organic Chickpea Puffs calling all snackers to #GivePeasAChance while also doing good in the world! Light and crunchy with a serious punch of protein and fiber, HIPPEAS are low-calorie, certified organic, gluten-free, vegan, kosher, allergen free and non-GMO. I love these guilt-free, flavorful snacks! Four layers of the smoothest raspberry-yogurt cream are held by five light, crispy wafers. The fine cream filling with the flavour of fresh, fruity raspberries and yogurt will guarantee a fabulous raspberry pleasure. 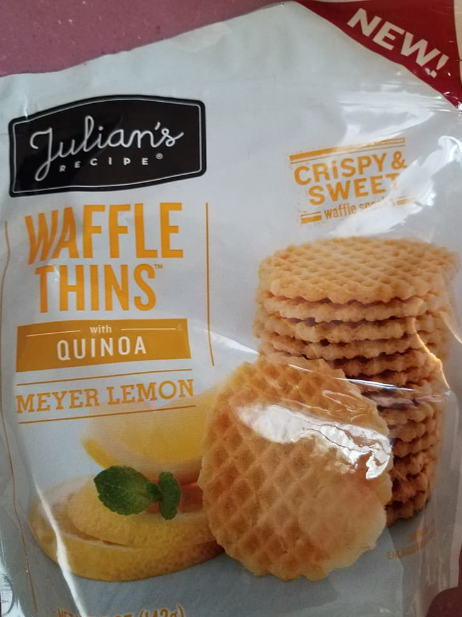 These wafers were so delicious. They were my favorite treat in this month's box. They are my new favorite cookie and I could eat these all day long, every single day. Cow Tales® are a unique combination of chewy caramel, wrapped around a cream center. 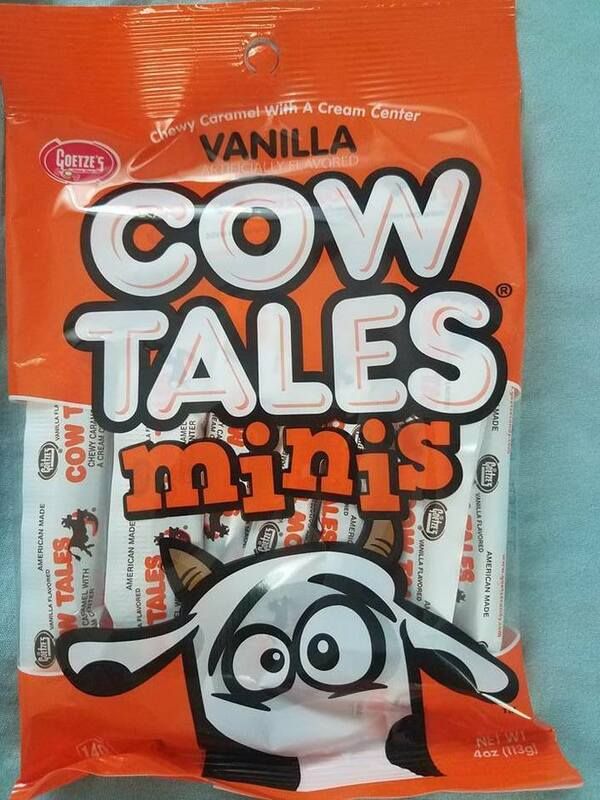 Available in 1oz snack size sticks, or as Cow Tales® minis, these sweet treats are the perfect on the go snack. Proudly made in the USA, Cow Tales® are made with real wheat flour and dairy cream. These are always a favorite in my family! These ready-made pizza crusts can help you with all your home cooking needs, from tasty pizzas to delicious desserts. I love having these on hand to make a quick dinner. My son, Braxton has a lot of fun creating his own pizza. These delicious snacks that are made with real fruit and surrounded by creamy yogurt for a melt in your mouth treat. I love them! BUSH'S® Kidney Beans add perfectly seasoned flavor along with 6 g of protein and fiber to your favorite chili recipes. 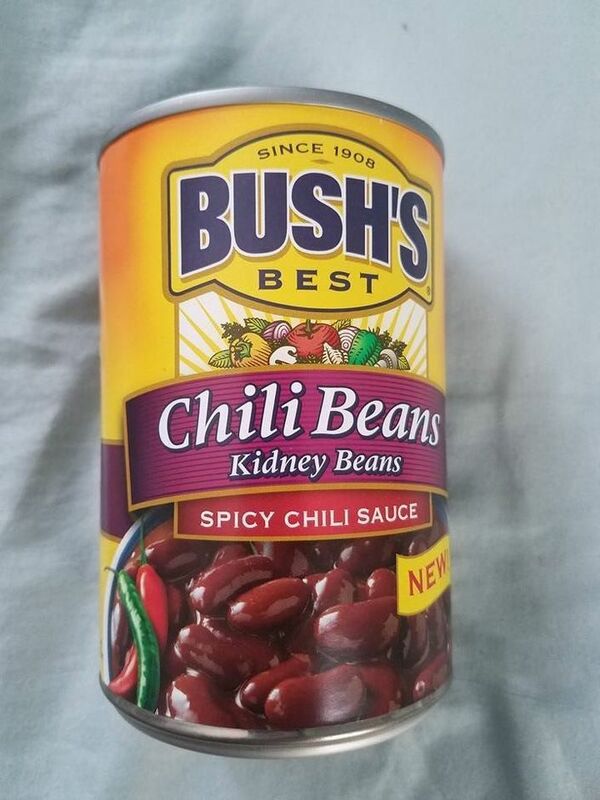 My family always makes delicious chili, and we always use Bush's kidney beans! 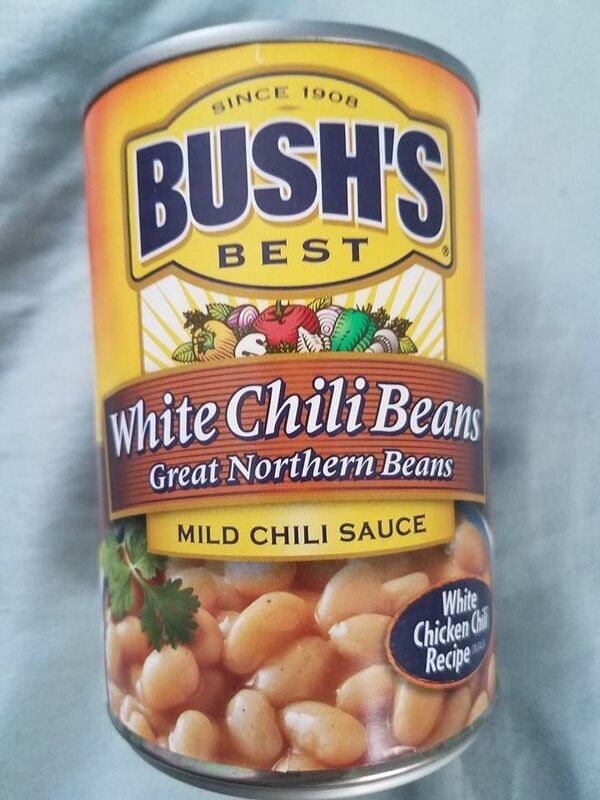 I have never made white chili, but I do plan to add these to my next pot of chili that I make because I love Bush's beans! These white ones will add a variety in color and perhaps in flavor as well. I am excited to give them a try. Kernel Season's is America's number one brand of popcorn seasoning. They make 15 flavors with real ingredients designed to take your freshly popped popcorn to the next level of deliciousness. 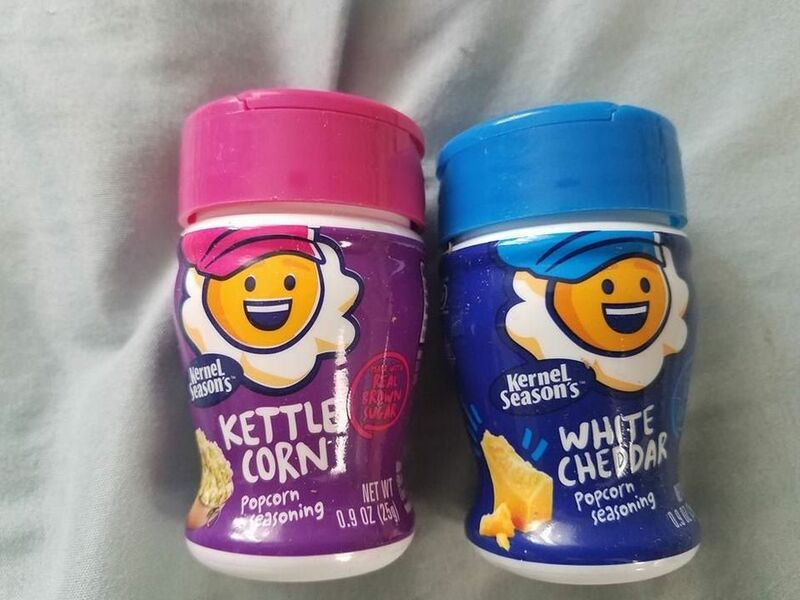 I got to try the white cheddar and the kettle corn flavors. I added them to my microwaved popcorn to enhance the flavors, and I was very impressed! 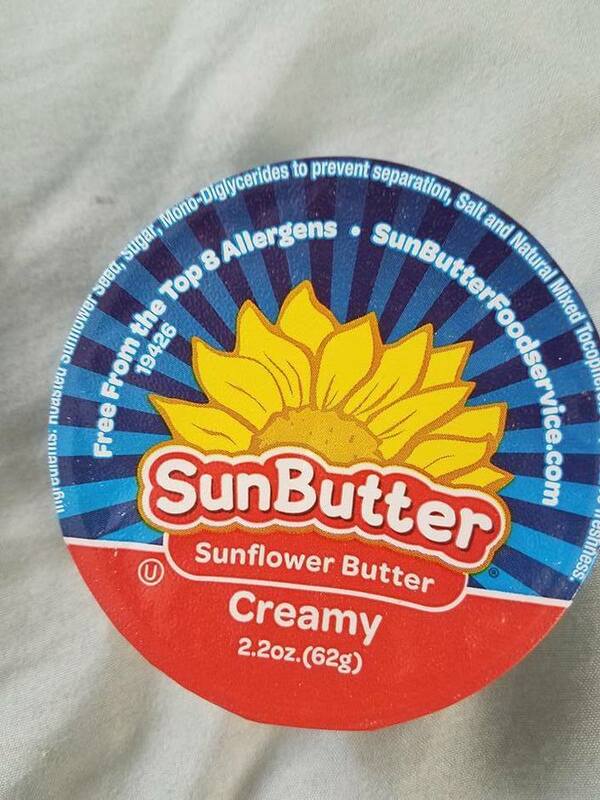 SunButter Sunflower Butter is scrumptious, packed with nutritional benefits, and is free from the top 8 food allergens. I enjoy it on a toasted bagel. I love the flavor! It has been such a busy Summer! I have hardly had time to just breathe. 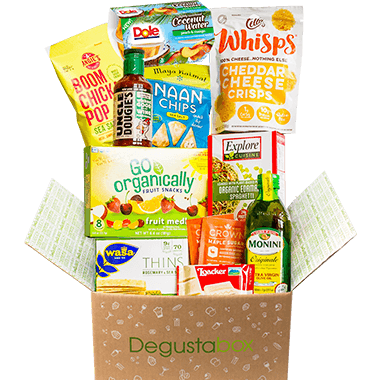 I received my monthly Degustabox about 3 weeks ago, and I am just getting around to reviewing it. 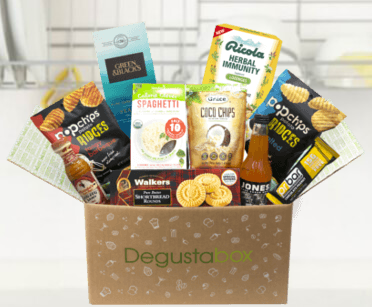 As you may have read in my previous posts, I absolutely love Degustabox. It is the best monthly subscription box I have ever received, and I look forward to its arrival each month. 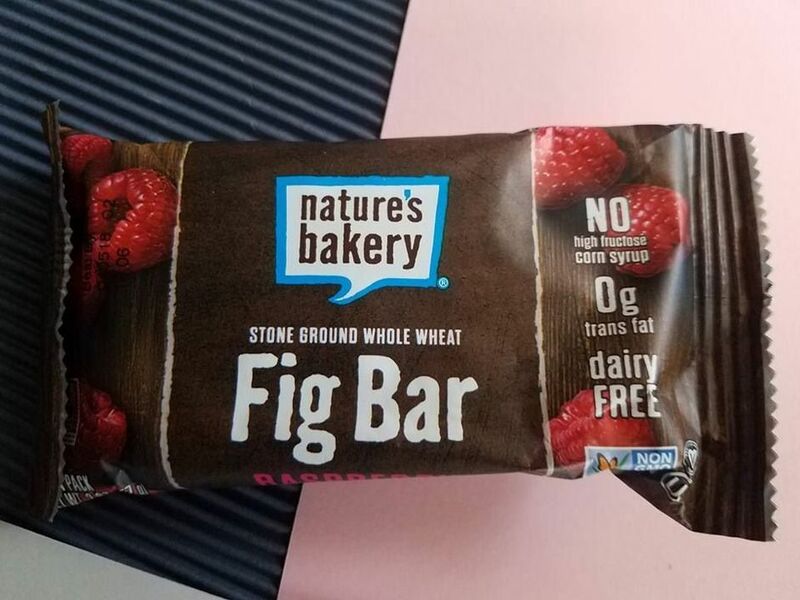 Nature’s Bakery Fig Bars, ($3.99 for box of 6)- These delicious Stone Ground Whole Wheat Fig Bars are Non GMO project verified, Vegan and Kosher certified, along with Dairy Free and Soy Free. I thought they tasted delicious, and much better tasting than Fig Newtons. 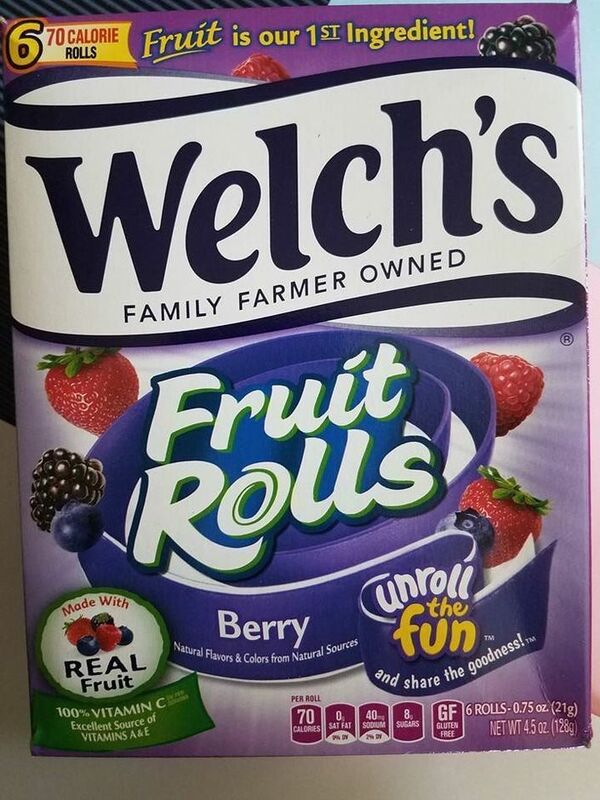 Welch’s Fruit Rolls ($2.99)- Made with real fruit as their first ingredient and packed with vitamin C,these are perfect for packing in lunches for kids of all ages. I am obviously not a kid (except for at heart!) and I love these fruit rolls. They are sweet and satisfying. I eat them when I am craving candy. (Which is several times a day!) They are a lot of fun to eat. 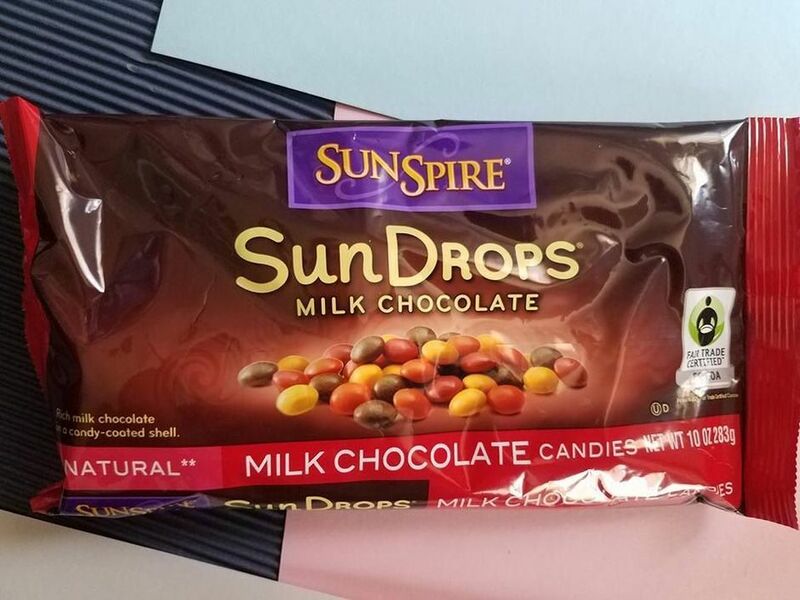 SunSpire Chocolate Candies ($7.69)- SunDrops® offer the great candy taste you love with no artificial flavors or preservatives. Their smooth chocolate centers are made with rich milk chocolate and sweetened with evaporated cane sugar, while their bright colors come from beet juice, beta-carotene and caramel. They taste exactly like M&Ms! 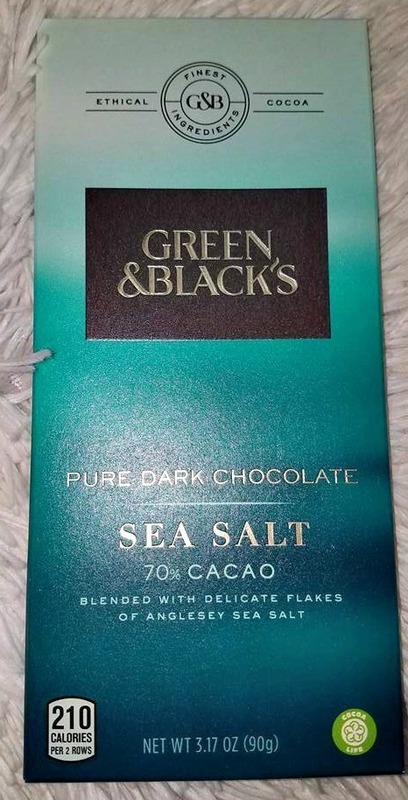 I love them, and I am happy to know that they are better for me and my family than our usual chocolate candies. Win! 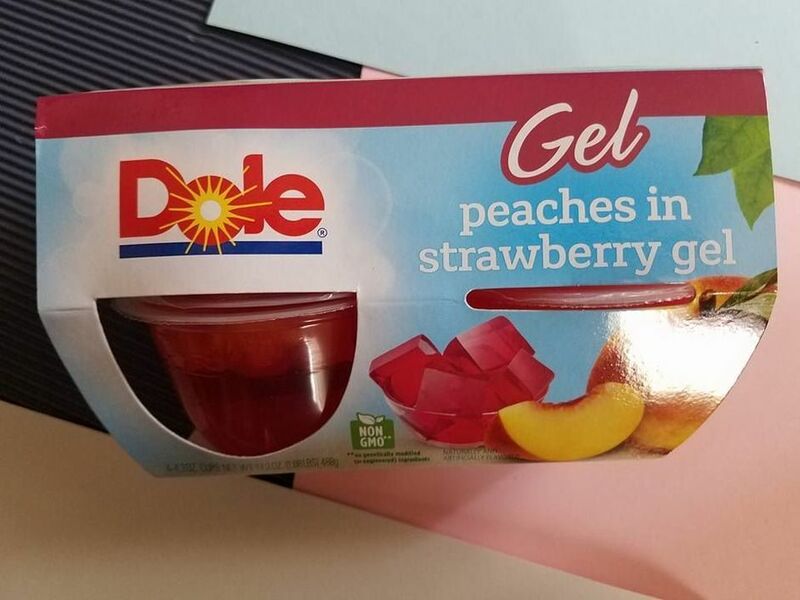 Dole Peaches in Strawberry Gel ($2.79)- A very refreshing treat for hot days, and the perfect addition to school lunches. Who doesn't love gelatin and fruit? Especially Dole! 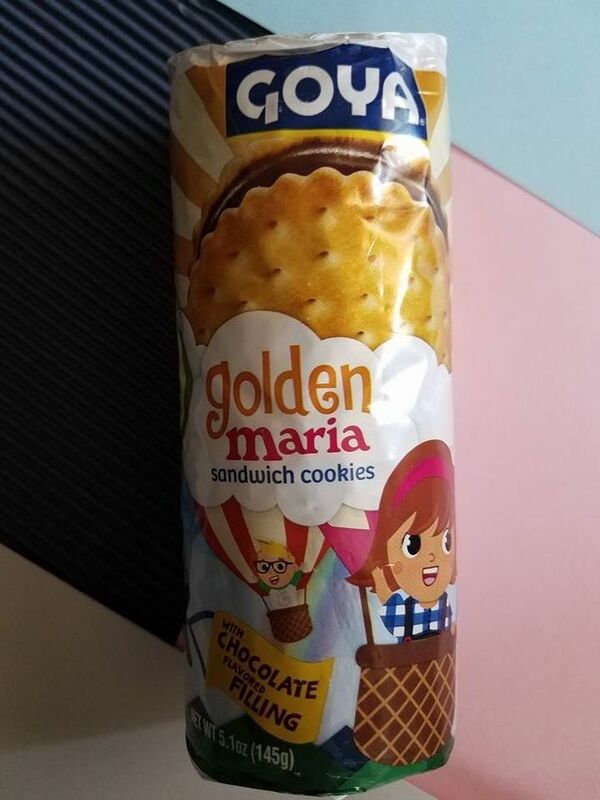 Goya Cream Filled Cookies ($0.89)- Created by the #1 brand of Maria Cookies in the Northeast, these cookies filled with chocolate cream, are the perfect treat no matter what the occasion! I love these cookies! They are simply delish! 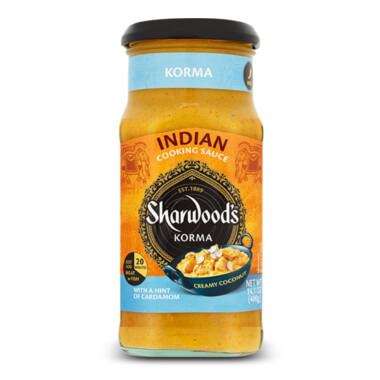 Sharwood’s Coconut Cooking Sauce ($3.99)- A coconutty classic with cream, tomatoes and a hint of cardamom. (Not sure what that even is...) I honestly haven’t tried this yet,and I don't like Indian food, so we shall see. Rosemary Pasta Snacks ($3.99)- Pasta Chips are made with semolina flour and Italian herbs. 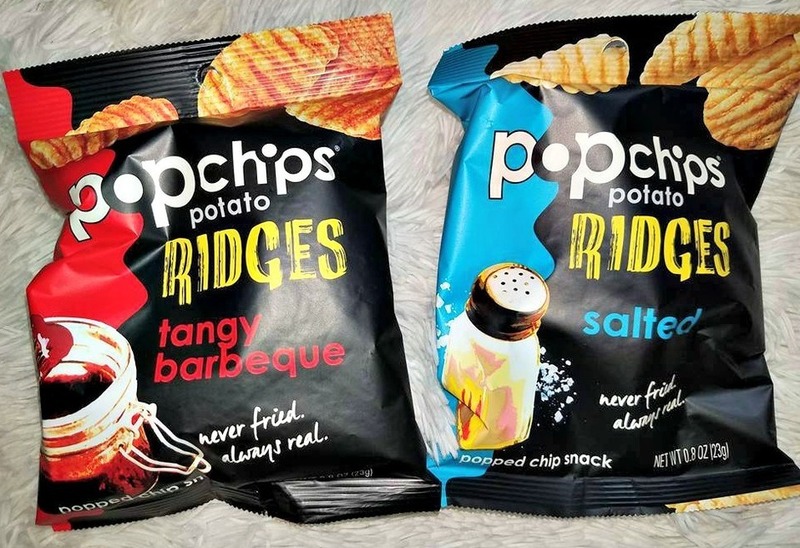 This Tuscan inspired chip is mixed with different seasonings based on regional Italian favorites, steeped in hundreds of years of Italian culture and living. 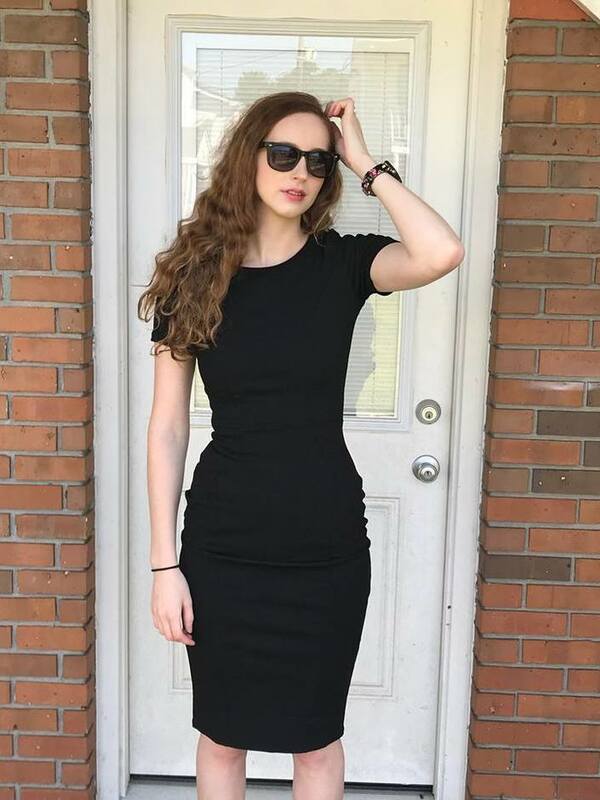 Very delicious and classy! 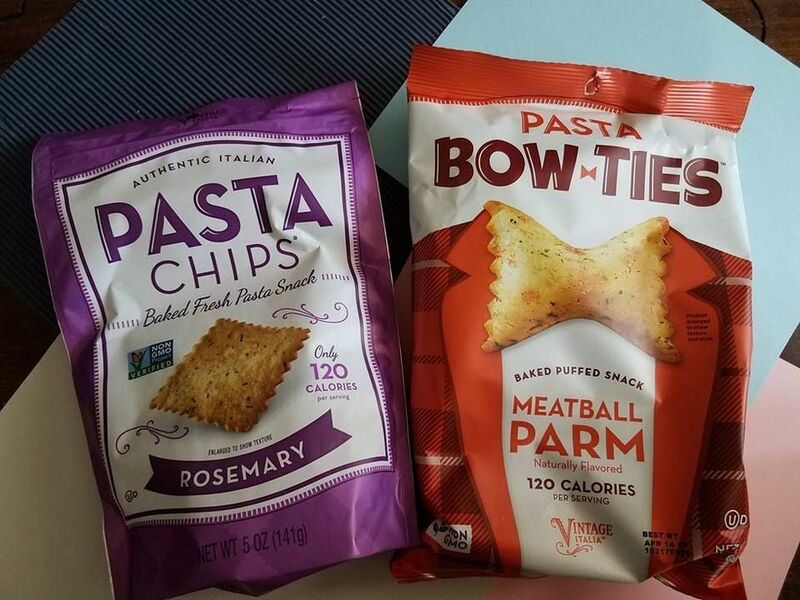 Bow-Tie Meatball Parm Pasta Snacks ($3.99)- Another tasty, fancy cracker like the Rosemary ones above. 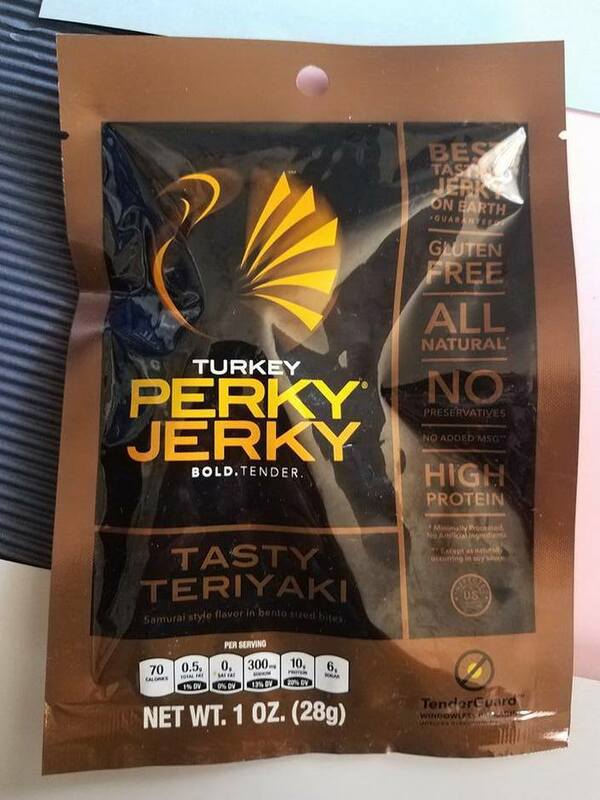 Perky Jerky ($2.99)- Perky Jerky is an all natural, premium beef and turkey jerky. Carefully handcrafted and marinated for tenderness, Perky Jerky not only tastes wickedly good, it's good FOR you! High protein, 90 calories (or less), and gluten-free, it's the perfect snack for a hike, the car, or for that mid-day desk indulgence. I love all kinds of jerky, but Perky Jerky is the tastiest! 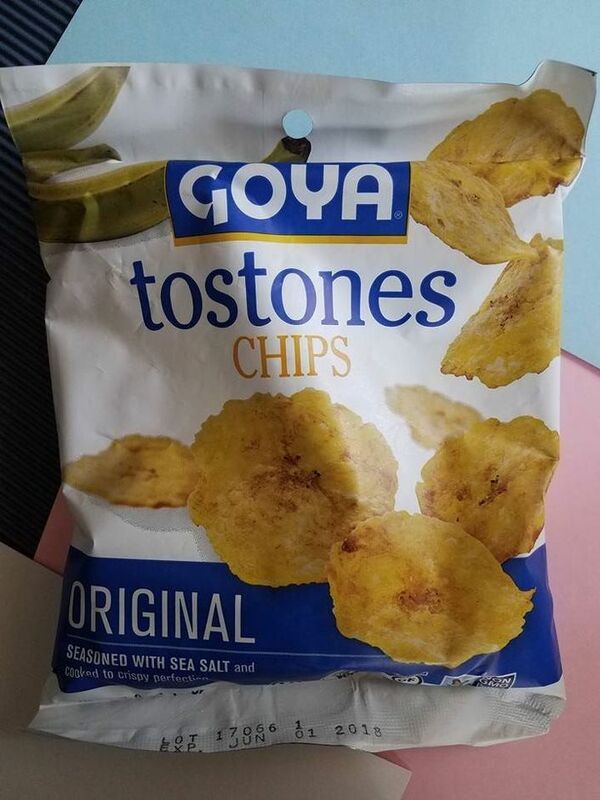 Goya Tostones Chips ($1.29)- They look like Bananas, but they're not! Crunchy like potato chips but a little nuttier in flavor, tostones chips are a fresh way to mix up your all-too-familiar snacking habits! They might even become your chip-of-choice! Lightly seasoned with sea salt and cooked to crispy perfection. I truly thought these were banana chips, but they are definitely not. I had never even heard of plantains. Have you? This was an educational tasting experience for me. I really like these delicious, healthful snacks and will definitely be buying them again. Mediterranean style Hummustir Organic Hummus ($3.99)- Fresh Hummus. Anywhere, Anytime. At home, work, or on the go, now you can enjoy fresh, delicious, organic and preservative-free hummus in seconds! Yum! 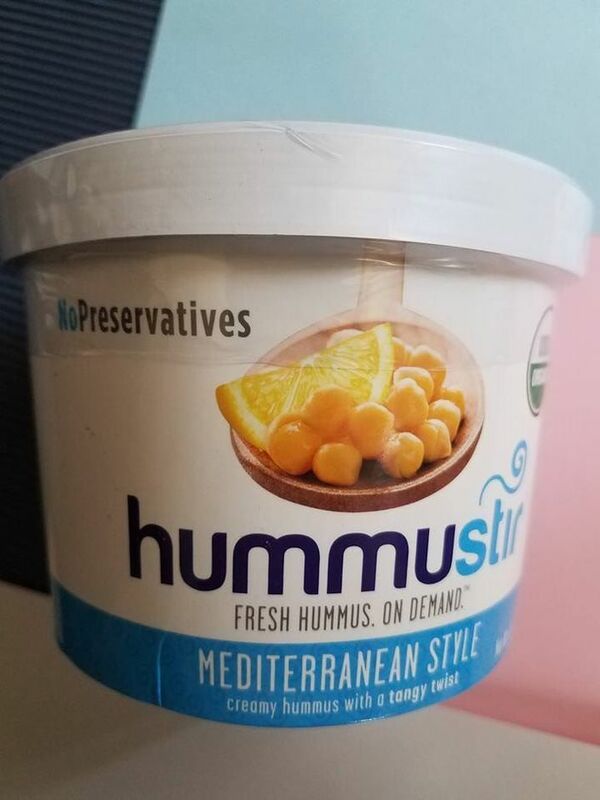 I love hummus and this is the best I have ever had! In fact, I just made it five minutes ago and I am eating it right now. It was so easy to make. I just mixed the two ingredients together and had my fresh hummus. I never knew it could taste so delicious. 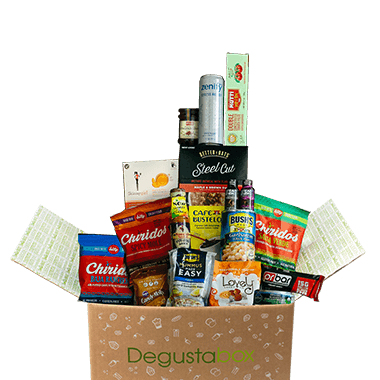 Degustabox is my very favorite monthly subscription box. I look forward to its arrival every month. I loved most everything in this month's box! Only using certified organic, minimally processed, plant-based ingredients, Navitas Naturals uses ancient superfoods to create healthy, delicious snacks. These yummy Maca Maple Bars are perfect for a little boost of energy on-the-go. I thought they were delicious. I was so excited to try this dressing. I used it to make a delicious pasta salad for my daughter's wedding reception. It added a tangy, savory flavor, and judging by the empty pasta bowl at the end of the evening, I'd say it was a huge success! 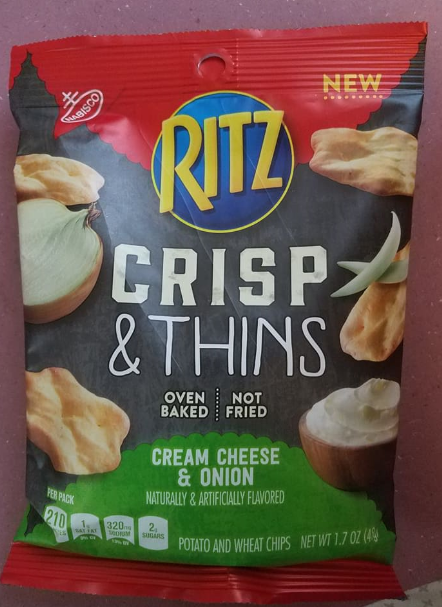 These new Ritz Chips are delicious! They are so thin and crispy, that the texture and taste is quite addictive! 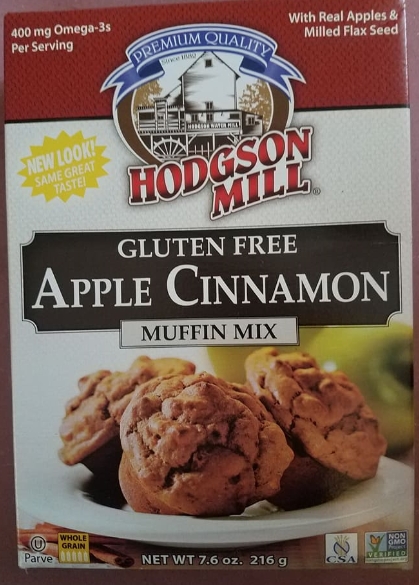 I haven't tried this mix yet, but I am looking forward to making these delicious looking muffins. I wonder how they would taste if I added a little bit of homemade apple sauce to the mix? I tried this drink and I didn't really like it very much. I do like cola and I do enjoy ginger ale, but I didn't like them together. 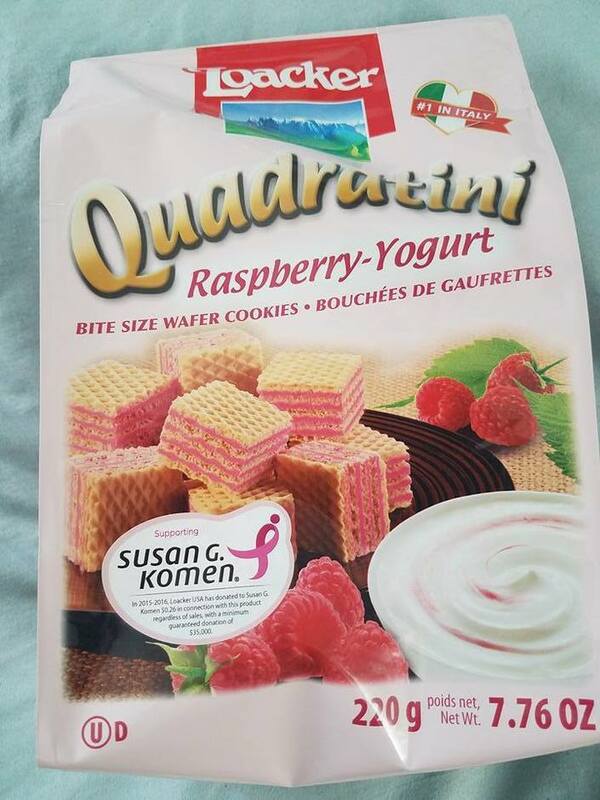 These tasty cookies were my favorite product in this month's Degustabox. Light lemony perfection! This is another one of my favorites from the box. 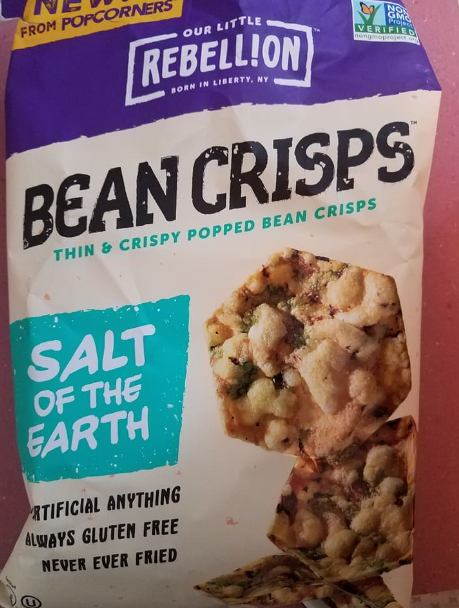 They are a truly delicious, guilt-free snack. These heavenly little pies will be my downfall in life, because they are very, very delicious. I wanted to eat the entire box in one sitting! (I didn't though!) These are so, so good, but definitely not guilt-free! 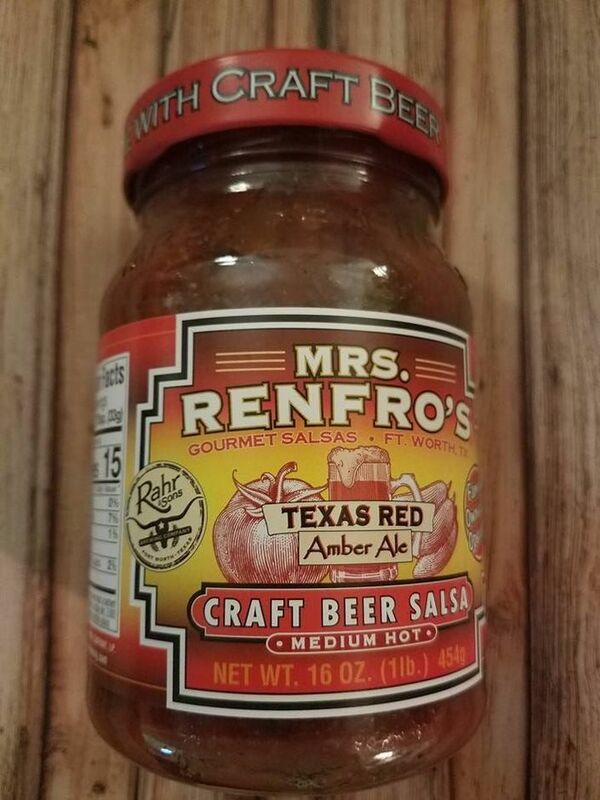 This BBQ sauce is tangy and delicious. I used it in my pulled pork recipe and it was perfect. I have never had tastier pulled pork sandwiches. My April Degustabox was a very good one! It had many delightful treats that I loved trying, and one that I did not. (Read to the bottom of this post and you shall see which one I was not very impressed with.) But your opinion just might differ from mine if you have a more 'adventurous palate' than I do. 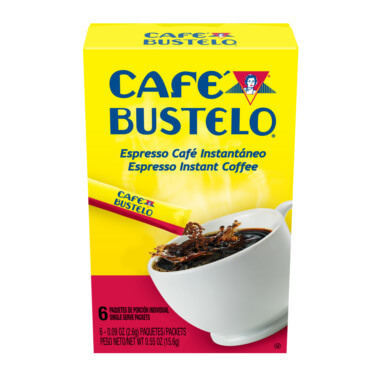 Cafe Bustelo Instant Coffee Single Serve Packets. Each box contains 6 single serve packets and is ready to go where you go. I don't drink coffee, but I am certain that my daughter-in-law will enjoy these. Lingonberries are a super fruit with antioxidant benefits. This small red berry has been picked and enjoyed since Viking times. Its piquant sweet and tart flavor makes it as unique as it is delicious. Felix jams are made of simple ingredients: handpicked wild lingonberries, pure sugar and fresh water, in a time-tested recipe. I had just ran out of jelly, and my son, Braxton always enjoys peanut butter and jelly sandwiches in his school lunch. I think he really liked this delicious Lingonberry jam. I certainly thought it was delicious. 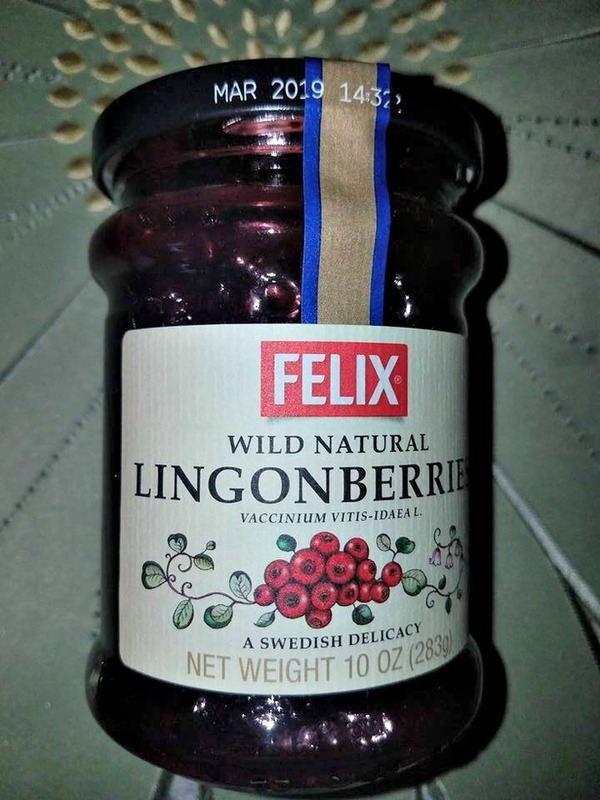 I just had never heard of lingonberries before. I thought I was aware of every berry on earth, but apparently there are many out there. Very tasty, kind of like a small, tarte blueberry. What a great concept! 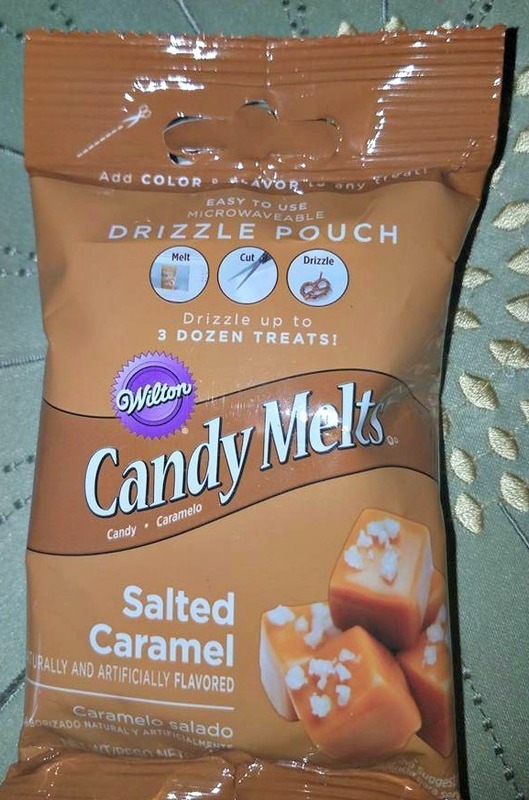 You can melt these little morsels right in the package, and then drizzle the melted salted caramel onto pretzels, strawberries, cookies, cake pops and other treats. Or, you can just do as I did; open them up and devour each one before you get the chance to drizzle it onto anything at all. Perhaps next time? They are simply irresistible. PERi-PERi sauce is made with African Bird's Eye Chilli and a blend of ingredients – onion, sun-ripened lemons, garlic, and spices. This one is full of flavor with loads of garlic for company. Shame on me, for I have not tried this sauce yet. I love spicy and I love garlic, so I am betting it will be very delicious! PR Bars are certified gluten-free and packed with the perfect blend of carbs and vitamins to boost energy and endurance when you need it most. I love healthful energy bars. This one was delicious. It is what my body needs! 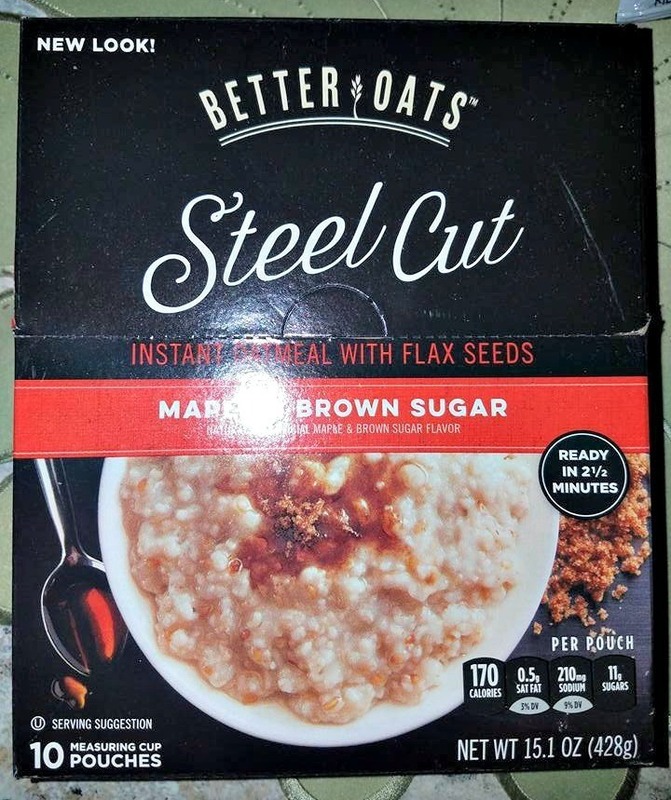 BETTER OATS® 100% premium steel cut oats are cut thick to preserve their natural texture. By adding flax seeds, we ensure that our oats deliver more than just great taste and texture but are a good source of ALA Omega-3. I love how the packets have measuring cup pouches so that you can add the perfect amount of water. Delicious and nutritious. These all natural, soft, buttery caramels are made with real butter and sweetened condensed milk to create an indulgent, sweet treat. They certainly did not last long around here. Maybe five minutes? So good! 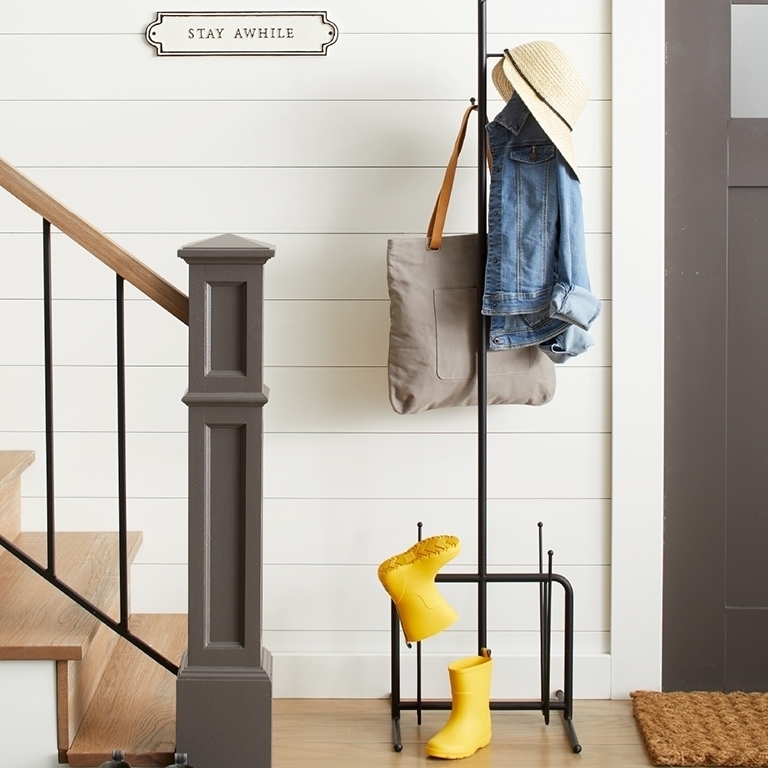 An easy way (just 3 steps!) to make homemade hummus. BUSH'S Hummus Made Easy®, available in the bean aisle, is the perfect blend of simple ingredients like tahini, olive oil and spices. 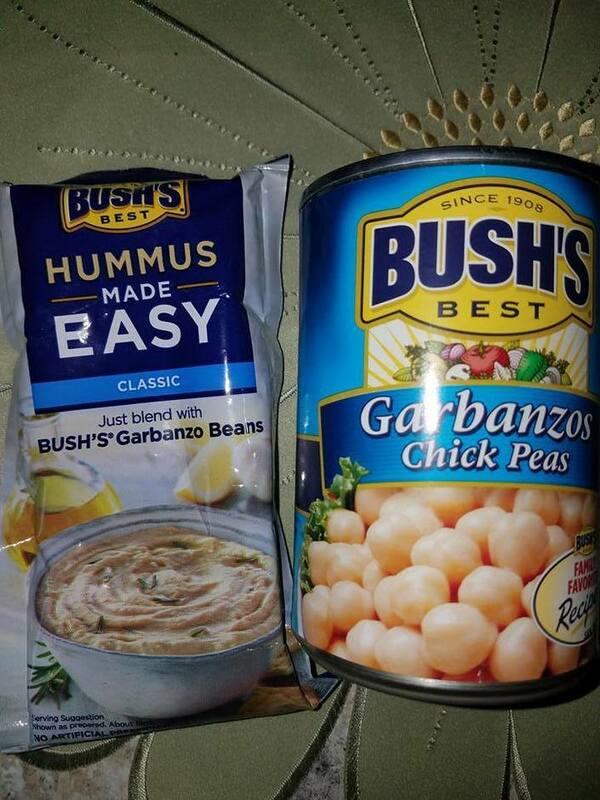 Just blend with a can of BUSH'S® Beans for a delicious, homemade hummus. BUSH'S Hummus Made Easy® is available in 3 flavors: Classic, Roasted Red Pepper and Southwest Black Bean. Since this is such an easy way to make my favorite snack, you bet I will keep on buying it! 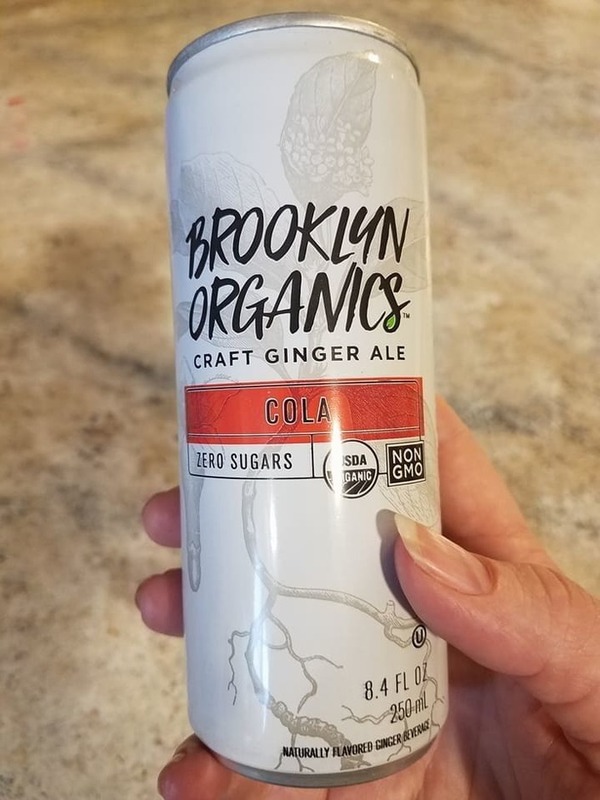 All natural ingredients and sweetened with a touch of stevia, with zero calories these could quickly become your favorite afternoon indulgence. I haven't tried this tea. My daughter says it takes a special machine to make it, and I am not familiar with this brand, so I do not know for sure. Tomato Concentrated in all its forms is a great way to bring flavour, texture and colour to your cooking. It is perfect for recipes that require long cooking times such as bolognaise sauce, casseroles and stews. But it can also be used in quick recipes: a dash of seasoning for pasta or a sauce to go with a dish. Contains large quantities of vitamins, minerals and Lycopene, a powerful natural anti-oxidant , 100% Italian tomatoes. I have not tried this products yet. I will try to remember to use it next time I cook up a delightful stew. Or homemade chili? Hmmm. There I was, happily munching on one of these three bags of neat looking bags of snacks, sitting on the couch, thinking they were kind of tasty. 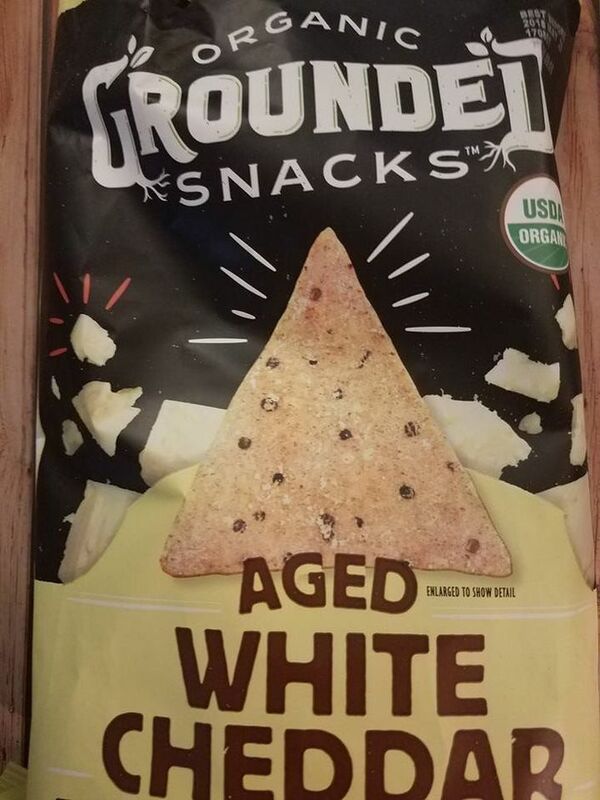 I offered a bag to my daughter, who tasted one and asked if these were corn chips. 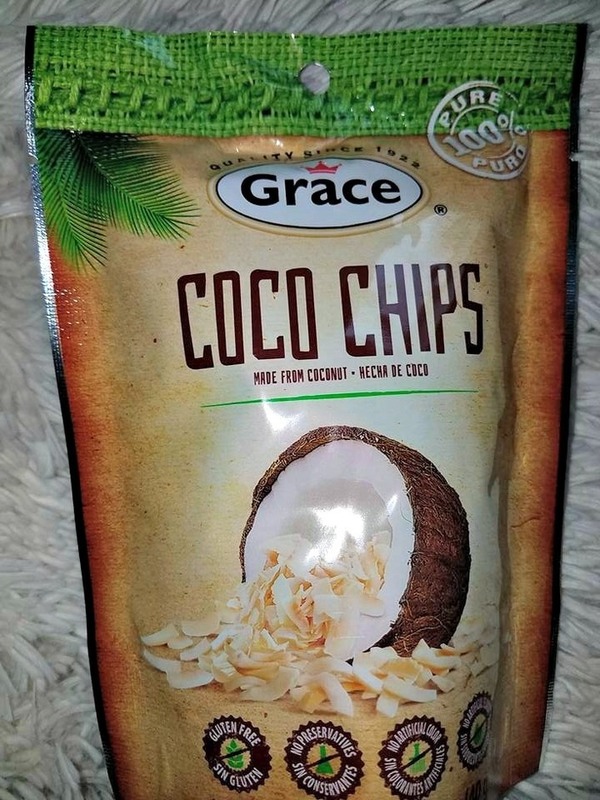 I looked at the bag and saw the words 'cricket flour' and I almost spit out my snacks I was eating. Crickets? I was eating crickets?????? I am still completely grossed out. This will teach me to not look at ingredients before I taste them. 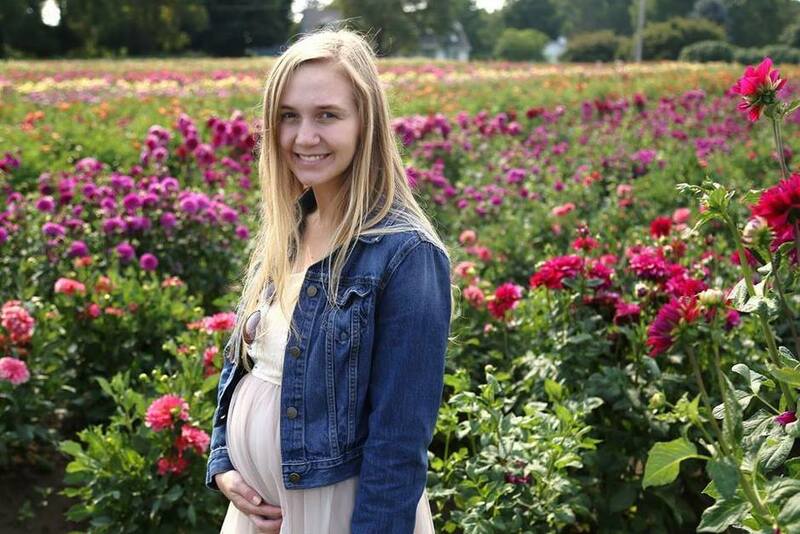 My daughter, however, was unfazed and ate another one. I'm sorry, I cannot knowingly eat bugs. I just can't. "Chiridos air-puffed snack chips come in three bold and delicious flavors inspired by chapulines, a traditional snack from Mexico. Chiridos are made with lentils and cricket flour and contain 5 grams of protein and a full serving of iron in each 128-calorie bag. 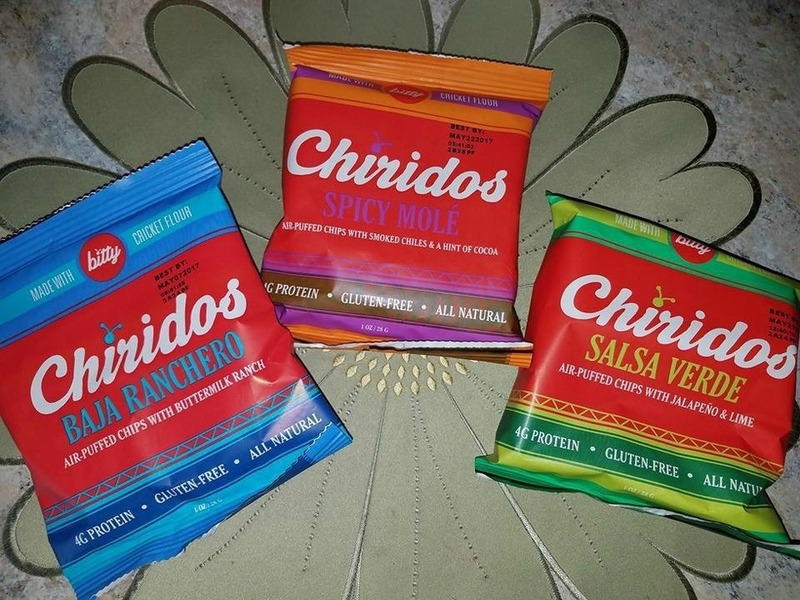 With their light and crunchy texture, craveable taste and consumer-friendly pricing, Chiridos are the sustainable, healthy snack you can't stop munching...." Well, I CAN. All-Natural Zenify is infused with the same stress-relieving antioxidants found in 15 cups of green tea, with no caffeine. Zenify helps keep you sharp, focused, and productive throughout the day! I gave this drink to my daughter, who is kind of stressing out lately from planning her wedding. Well, she told me that is tasted like 'fizzy water or some kind of energy drink' and she didn't really enjoy it. So, I am not certain if this beverage really works or not. My Degustabox arrived two weeks ago. I feel awful that I didn't get the chance until now to review it. Life has been so busy with my daughter getting married in Hawaii last month, and then she had her reception last weekend. 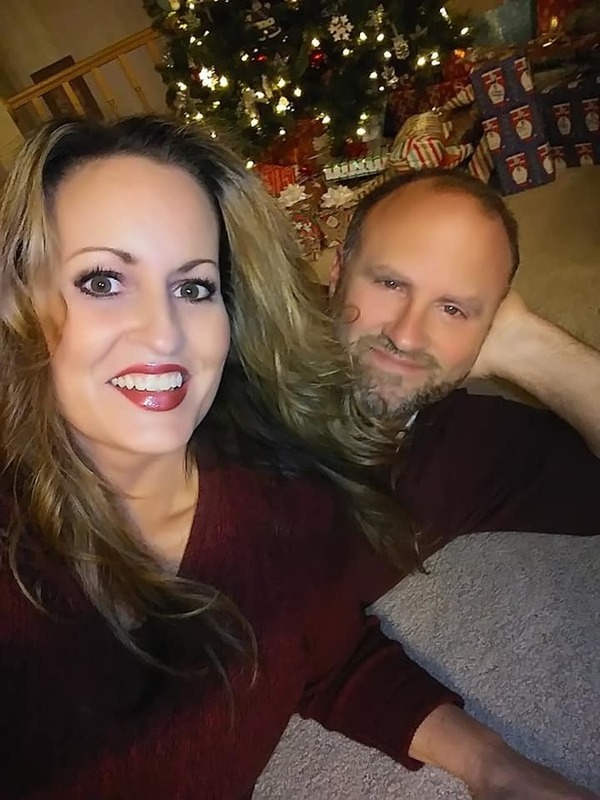 Busy, but wonderful times! Now on with my review! 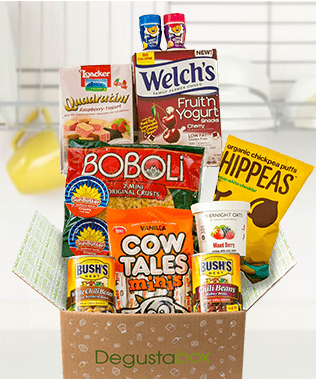 There are so many wonderful, delicious goodies in this month's box, wow! I opened it up in my daughter, Kendallyn's home where she lives with her new husband, Sammy. Kendallyn and I always open my monthly Degustabox together, and I am not going to change that fun mother-daughter time for anything. 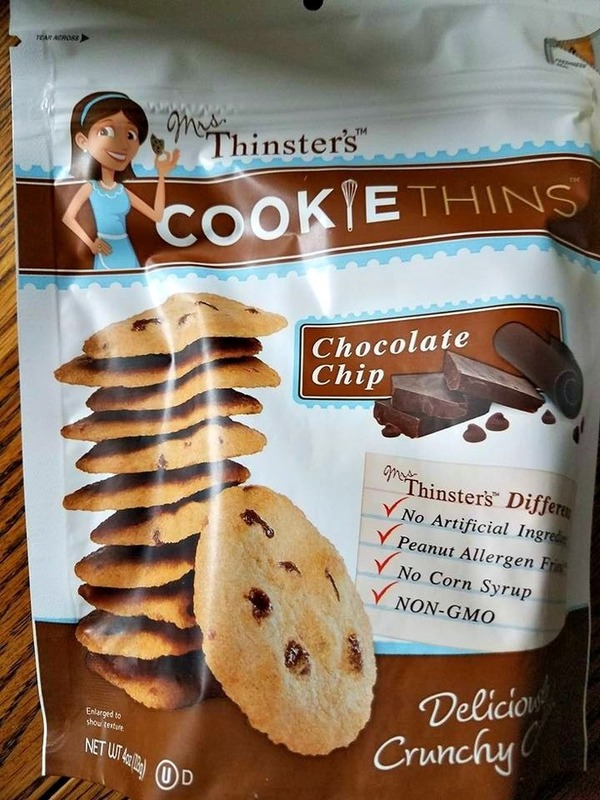 Mrs. Thinster's Cookie Thins™ are thin, crispy deliciously crunchy cookies that are made with natural ingredients. No corn syrup or anything artificial is in these yummy cookies. They are addictive and very delicious. 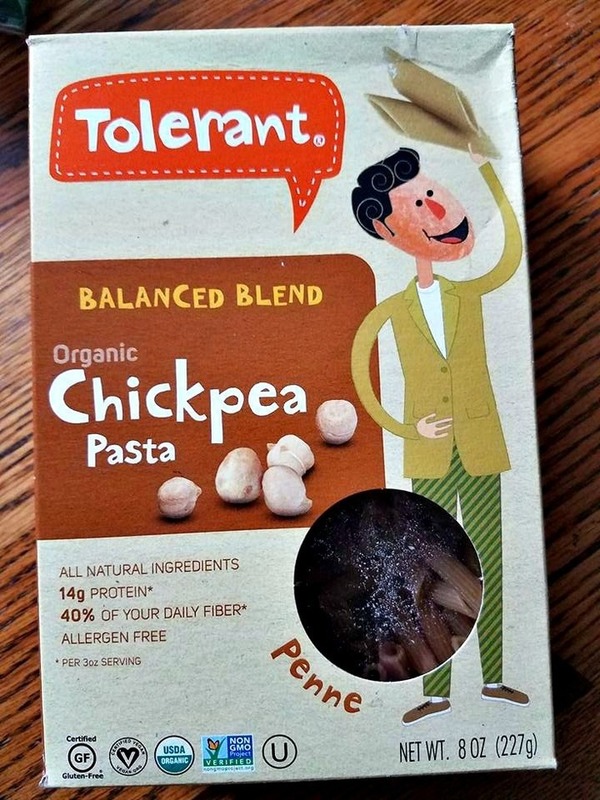 TOLERANT is designed to make a difference in the lives of those who seek healthier lifestyles, have food intolerances or dietary restrictions through naturally powerful, legume based foods. What a great company! I needed to make a gluten-free dish for a guest at Kendallyn's reception last weekend for a young lady who can't eat wheat, and I was so happy that I had this pasta on hand. I whipped up a very tasty pasta salad, and it turned out amazing! 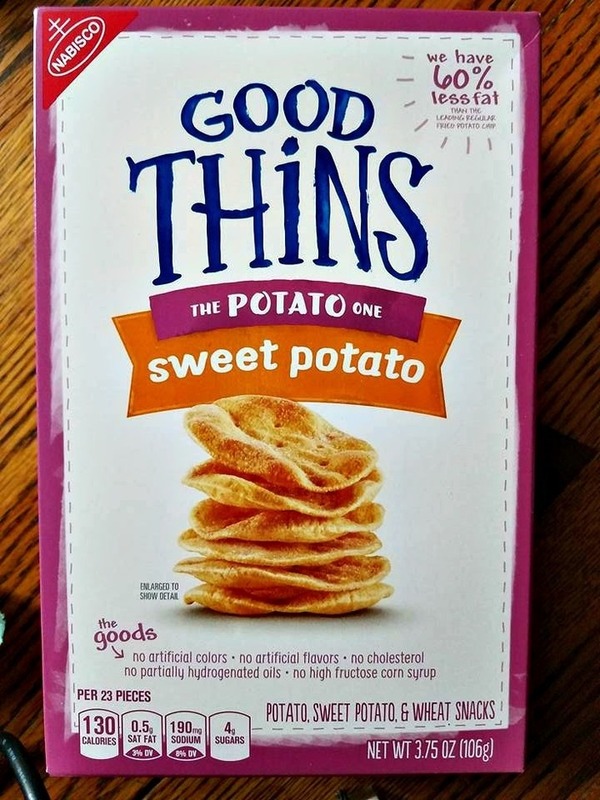 GOOD THiNS is a delicious line of snacks that starts with real ingredients - like potato, rice, and corn - combined with delicious flavors and baked thin crispy. I love them! It's a snack that not only tastes amazing, but is very satisfying and good for me, too. 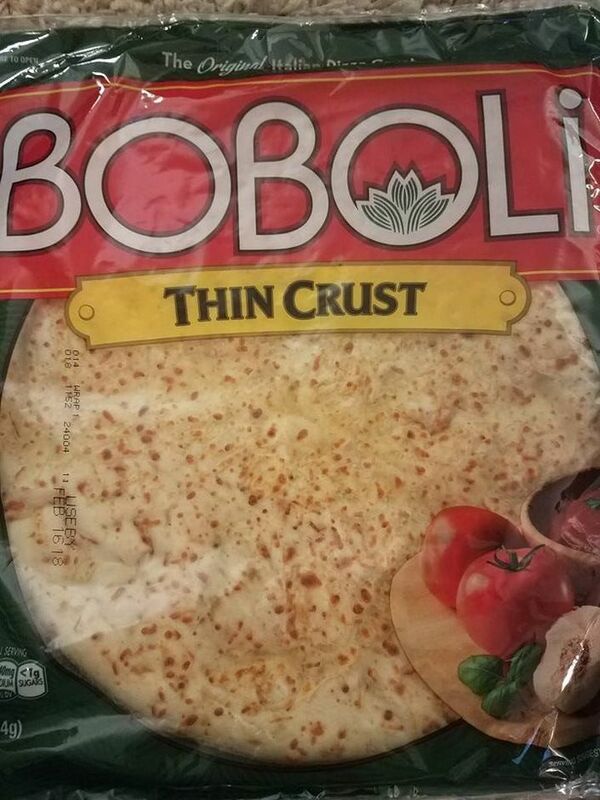 Who doesn't love Boboli? 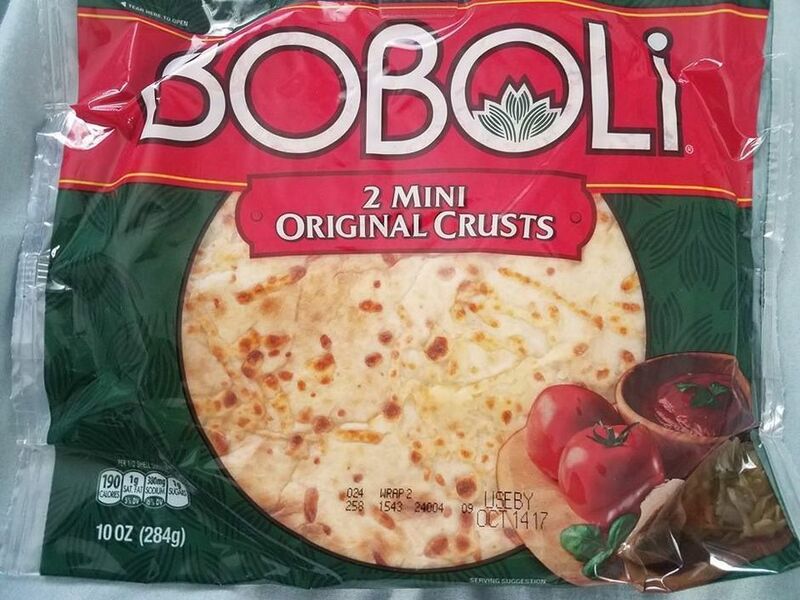 They make such delicious pizza crusts! I simply grab a jar of pasta sauce, toss on some veggies or pepperoni, smother it in cheese, and bake for ten minutes at 350 degrees, Dinner is served! You go, Lemoncocco! (Mean Girls movie reference, if you have seen the movie) I am crazy about anything lemony! 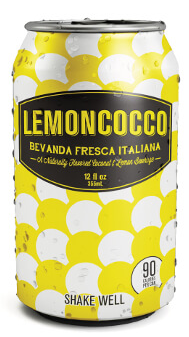 Unlike traditional coconut water beverages, Lemoncocco™ has a fresh and smooth finish. It contains just a splash of coconut cream which gives it a distinctively sweet and velvety flavor and texture. Lemoncocco™ contains only pure cane sugar and it's just 90 calories in a 12 ounce serving. I would definitely buy this again. 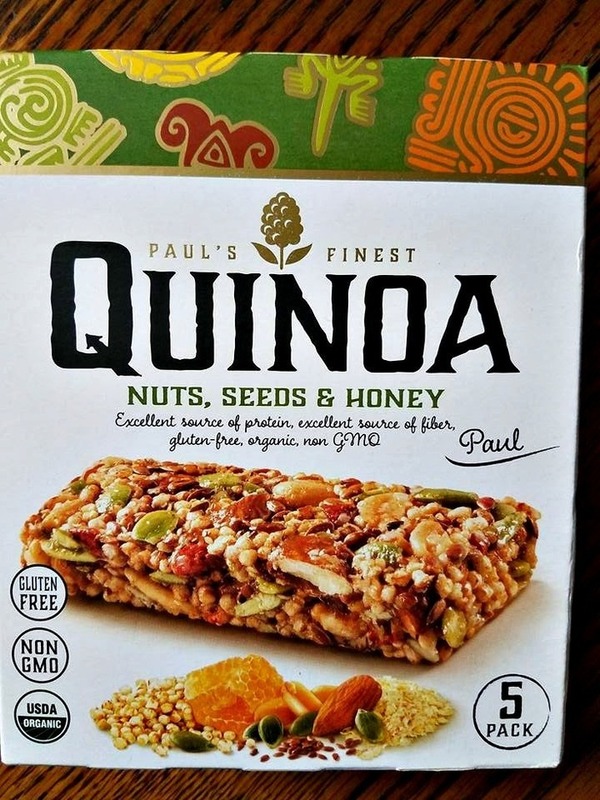 Paul's Quinoa Bars are produced with only 100% natural, certified organic and certified gluten-free ingredients. 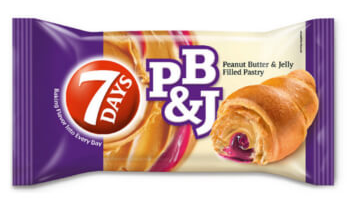 This a really delicious, high-energy and low calorie bar. I love it. I could eat these all day long! Maximum chocolate pleasure for true connoisseurs! Be enchanted by the most exquisite dark chocolate, a tender heart of light, crispy wafers and a filling of the finest hazelnut cream. I really don't like hazelnuts that much, so these were not really my thing. They look delicious, though! My son-in-law loved them! 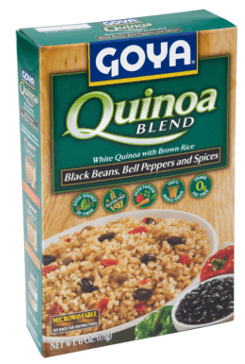 Quinoa, a natural super grain, has been cultivated for thousands of years in the Andean region of South America, where it is known as the "Mother Grain" for its nutritional benefits. I honestly have not tried this yet, but it looks very good! 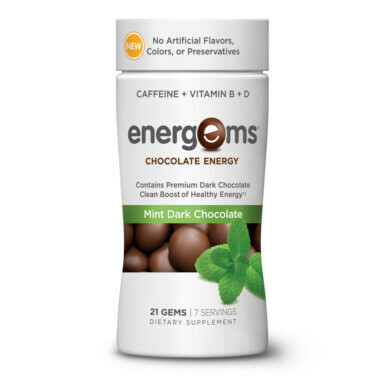 Energems are bite-sized chocolate energy supplements made with delicious dark chocolate and just the right amount of caffeine plus vitamins B and D. Contains no artificial colors, flavors or preservatives. One serving, or three gems, is the caffeine-equivalent of a cup of coffee and has only 50 calories. Energems are the tastiest way to get you through the day. I think they are great for a tasty pick-me-up. And there you have it! I love trying all of the products and especially finding something that I really like and will buy again. 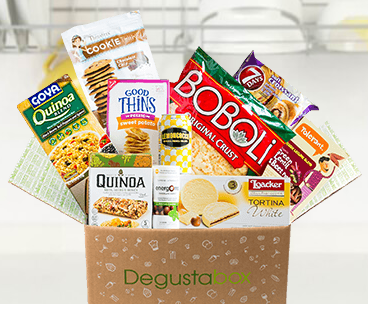 I said it many times, and I will say it again, Degustabox is the best monthly delivery subscription food box EVER! SO worth the price and definitely worth the wait! I am always so excited when my Degustabox arrives! January's box was full of plenty of amazing goodies, as usual. The first box of 2017 did not disappoint! It contained lots of goodies, and I have listed them all below. 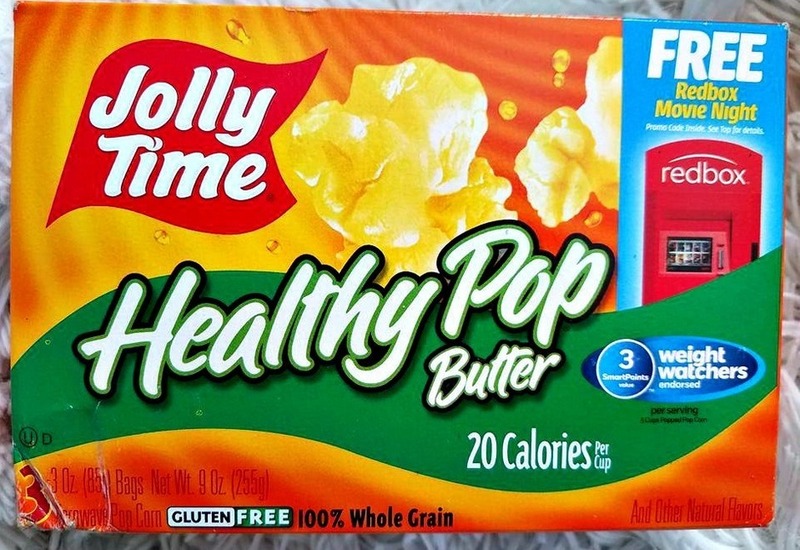 JOLLY TIME Healthy Pop Butter Microwave Popcorn delivers a great butter taste with hardly any fat. Endorsed by Weight Watchers, Healthy Pop is high in fiber and has just two grams of fat per serving. I think it tastes just as great as theater popcorn. I love it! It is my perfect guilt-free snack. 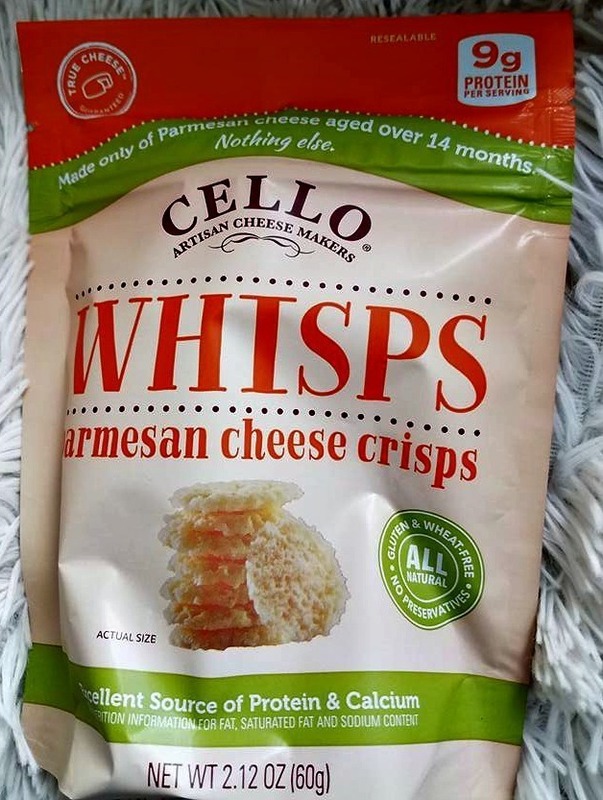 Cello Whisps are an award-winning snack made with 100% cheese, nothing else! Cello Whisps are all-natural, gluten-free, and an excellent source of protein and calcium. Whisps are amazing on their own or can add delicious crunch and flavor to appetizers, salads, and plenty of dishes. I love them just for snacking. They are a very satisfying, guilt-free snack with a lot of deliciousness. 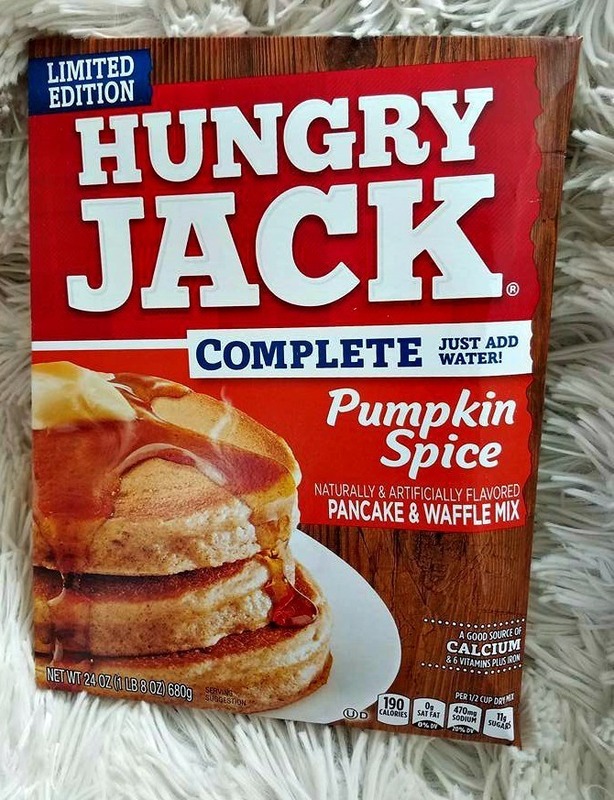 I already was a fan of Hungry Jack pancake mixes. They always create the best, fluffiest, most perfect pancakes. And now, with this delicious pumpkin spice flavor? I am in pancake heaven! 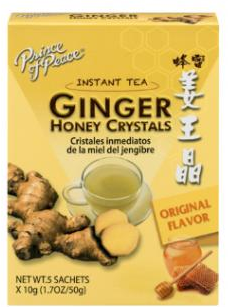 Prince of Peace Ginger Honey Crystals have all the natural benefits of Ginger and Honey in this special proprietary blend of instant tea. Each sachet contains concentrated extract from 12 grams of raw ginger, which is the base for the appealing aroma and exquisitely smooth taste. The natural sweet and spicy flavor makes this a year round favorite drink. Served hot, it will warm you instantly from the inside. Try adding ginger to your daily diet to improve digestion, ease nausea, reduce pain & inflammation and more! 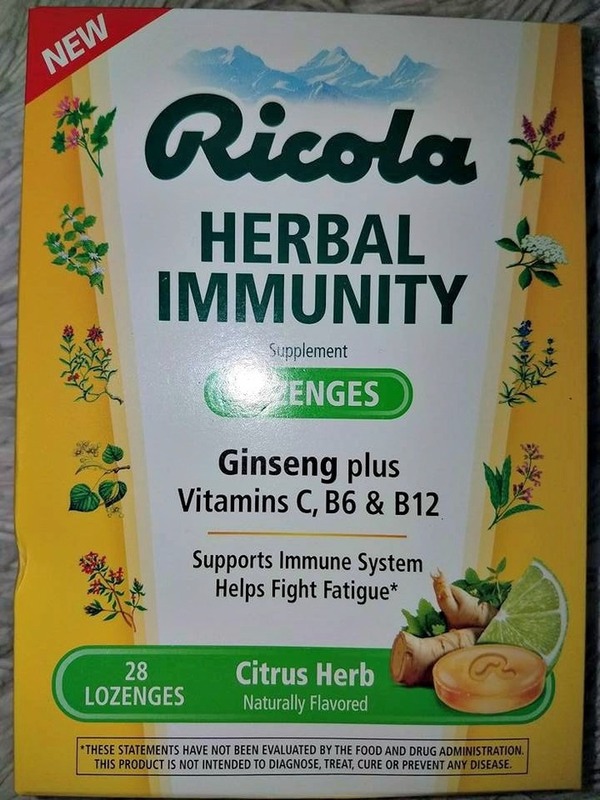 Although I am not much of a tea drinker, I was extremely thankful to have Prince of Peace Ginger Honey tea on hand when my family recently had that nasty flu. It truly helped to relieve my nausea and kept my family hydrated when we were all sick. 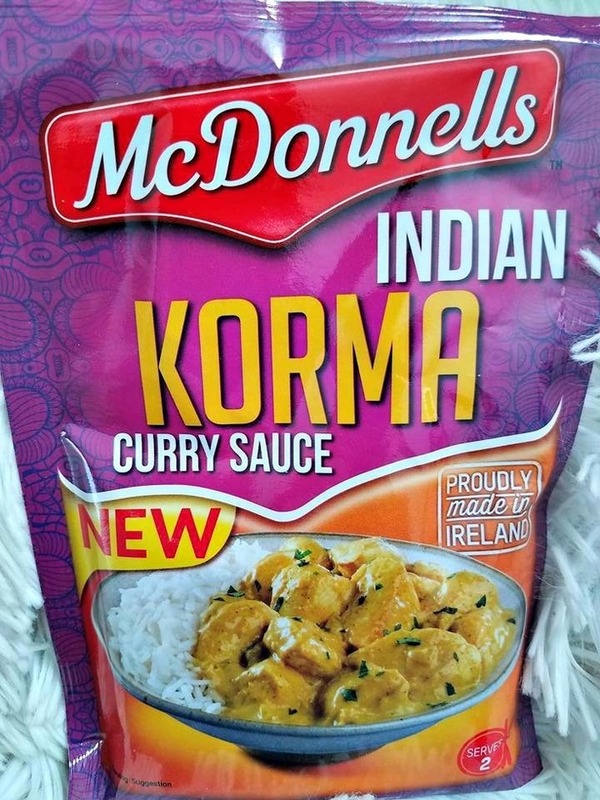 McDonnells Korma is a creamy, coconut flavored curry sauce mix, created from a unique spice blend, for a deliciously rich and mild Indian meal, that's quick and easy to make. I haven't used my curry sauce mix yet. I am tempted to try it, but I am not sure that my picky kids would like it, since they aren't used to tthe taste of curry. The delicious snacks that are made with real fruit and surrounded by creamy yogurt for a melt in your mouth taste the whole family loves! 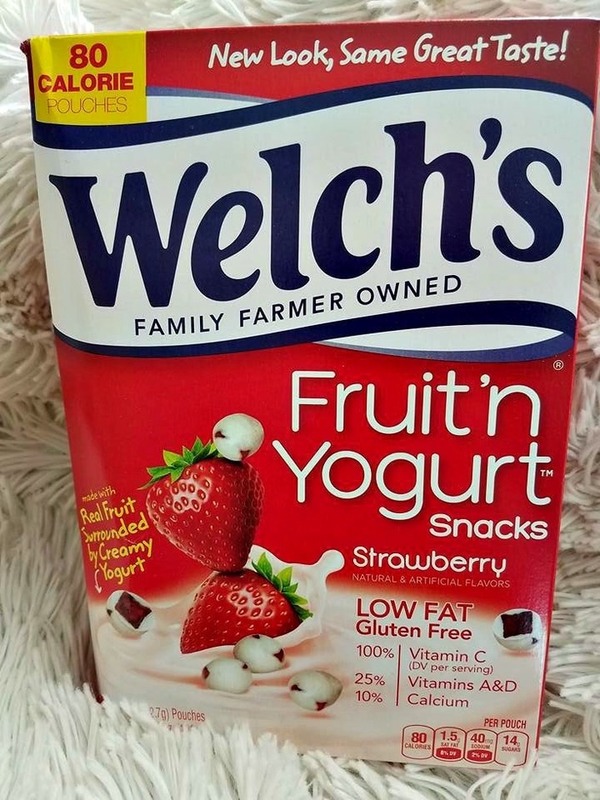 Welch's® Fruit 'n Yogurt™ Snacks are an excellent source of vitamins A, C and D, a good source of calcium and are low fat. Gluten-free and delicious. My family loves these tasty good-for-you snacks. ALO Drink, which is known for its line of aloe vera beverages, has curated ALO Light-- a group of flavors that contains 50% less sugar and calories than its original line for all to enjoy. This particular beverage, ALO Refresh, uses straight-from-the-leaf aloe vera pulp and juice with a hint of cantaloupe and cucumber to produced an overall gentle yet refreshing beverage. I love this refreshing drink! 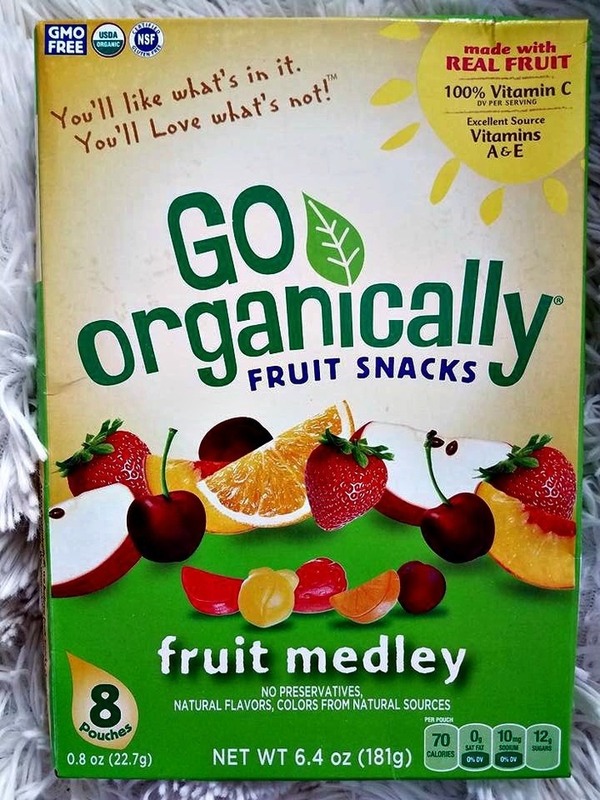 Go Organically® Fruit Snacks are a tasty, on-the-go USDA-certified organic fruit snack made with real fruit, and are an excellent source of Vitamins A, C and E. Go Organically® Fruit Snacks are GMO free, gluten free, and made with natural flavors and colors from natural sources. Available in three delicious varieties, Fruit Medley, Mixed Berry and Tropical. These fruit snacks are sensational! I put them in my son's lunches and he also enjoys taking them to school for snack time. 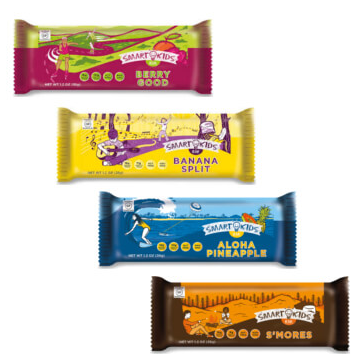 Live Smart Kids Bars are a healthy, delicious and fun snack that kids love. They are packed full of all-natural ingredients and are nut free, gluten free, soy free, non-GMO and vegan. No Refined Sugar Added. No Trans Fats. I got the chance to try the Banana Split flavor. It was pretty good! Next time I would love to try the Aloha Pineapple! 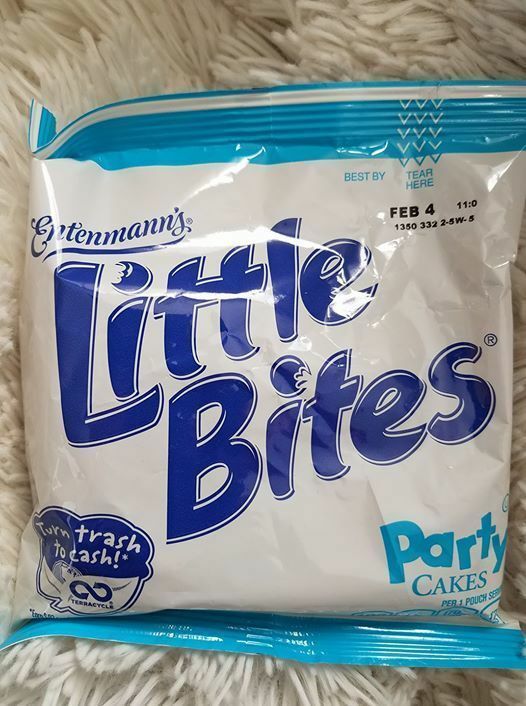 Entenmann's Little Bites Party Cakes, delicious, golden mini cakes with rainbow sprinkles! My kids and I love these tasty little cakes. 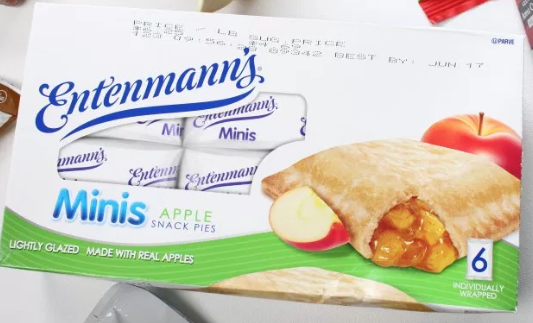 Entenmann's has always been a favorite brand in my family for their sweet delicious treats.